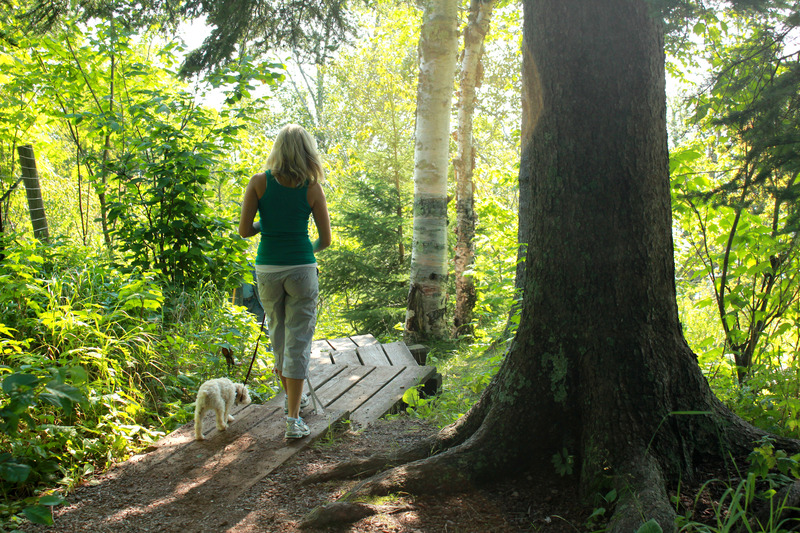 We’ve only been home from the North Shore for a week….and I am already daydreaming about the next time we go back. I can’t explain the feeling that overcomes me when we pull into Duluth and continue on North. The serenity…the ease…the “Im-cut-off-from-the-rest-of-the-world” sense of calm….it’s beautiful. 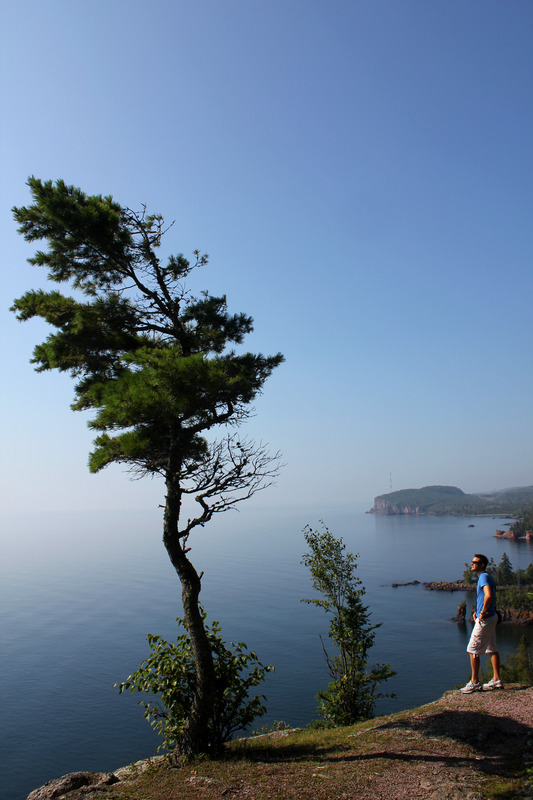 I would encourage you all to add “The North Shore” to your list of “Must-Visits”. To the Sea. The lush forests…to the wide open waters. It is all breath-taking….right here in the Midwest. Right here in Minnesota. 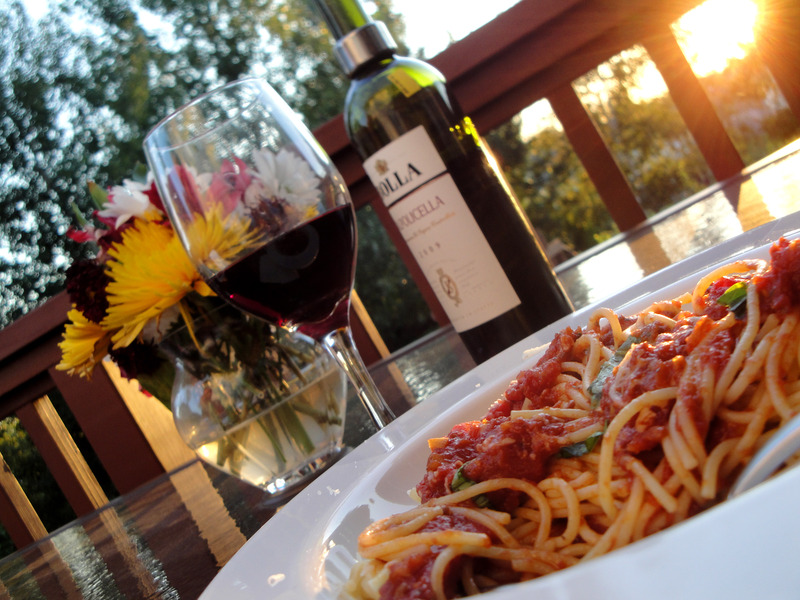 And like I said last Friday…the best part of the day was coming home to the log cabin to fully unwind with a bottle of wine and homemade dinner! 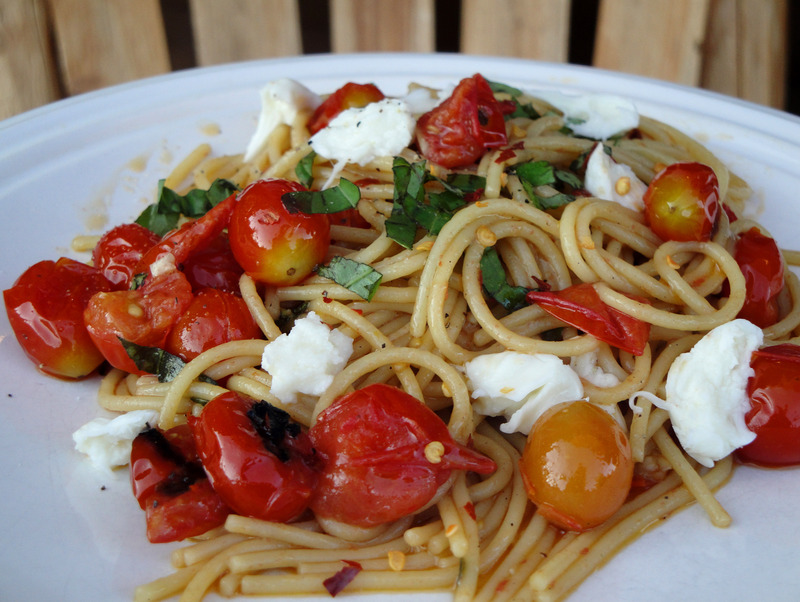 Our favorite of the trip was what we call, “Roasted Tomato and Olive Oil Linguine”. 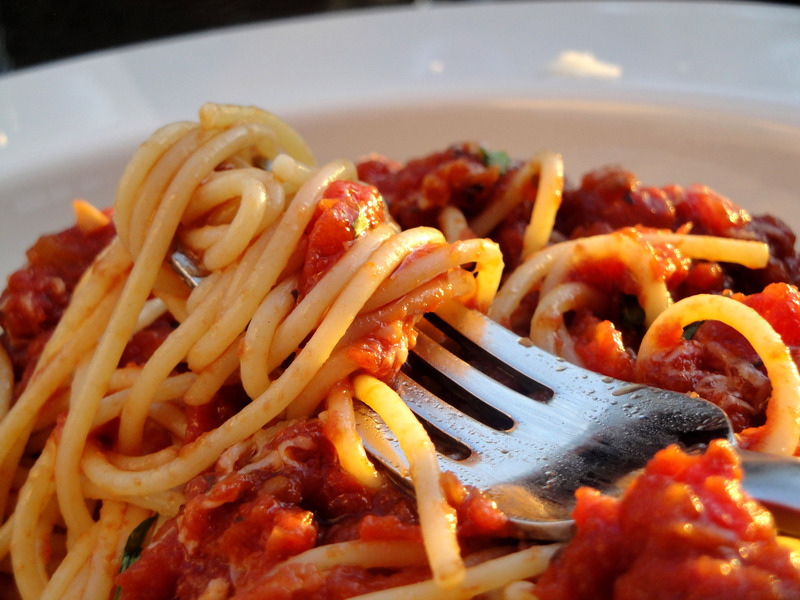 If you are craving a simple, fresh pasta…this one is for you! Start by roasting your tomatoes. Preheat the oven to 400 degrees. 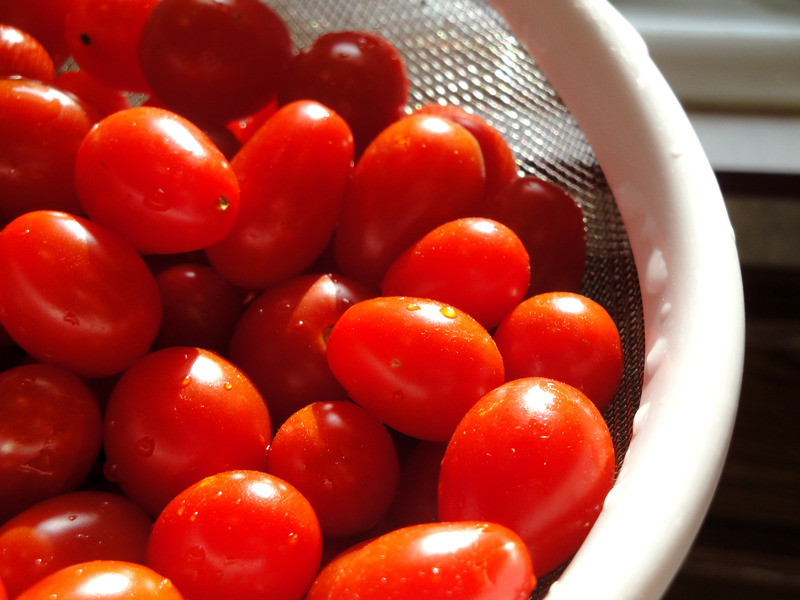 While the oven is heating, combine tomatoes, 1 tbsp olive oil, vinegar, and salt & a pinch or two of crushed red pepper. Toss. Spread tomatoes on a jelly-roll pan or cookie sheet. Place tomatoes in oven and bake for ~15 minutes until tomatoes are soft and slightly blackened. 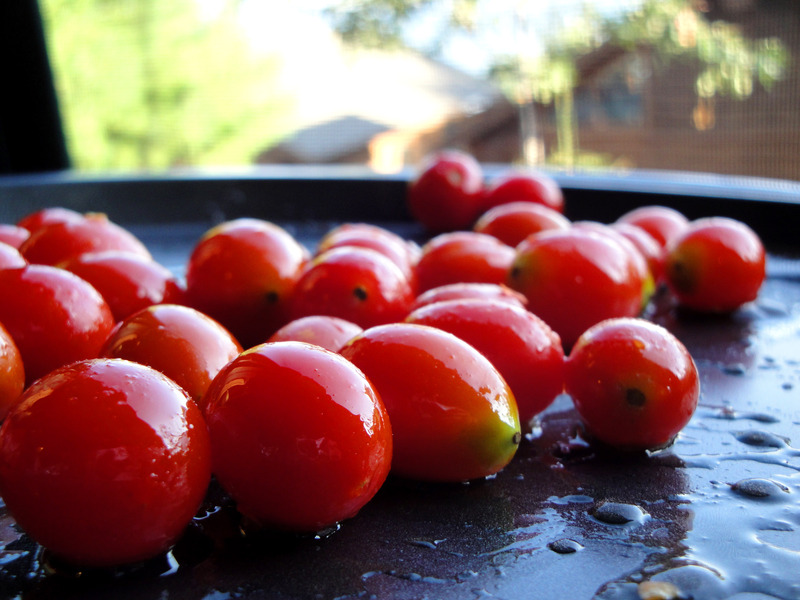 While the tomatoes are roasting, bring 4-5 quarts of water to a boil. Add a dash or two of salt. Add linguine and boil until pasta is al dente. Reserve ~1/2 cup pasta water and drain pasta. Set aside and keep warm. When the tomatoes are soft and slightly blackened, remove from the oven. Add tomatoes and any subsequent juices to a pot and turn burner to medium-low heat. Pour reserved pasta water onto the jelly-roll pan and scape off any blacked bits. Add water/bits mixture to pot. Stir in remaining evoo, basil, garlic and linguine. Toss frequently. Taste. Add additional evoo, salt, crushed red pepper, and garlic to your liking. 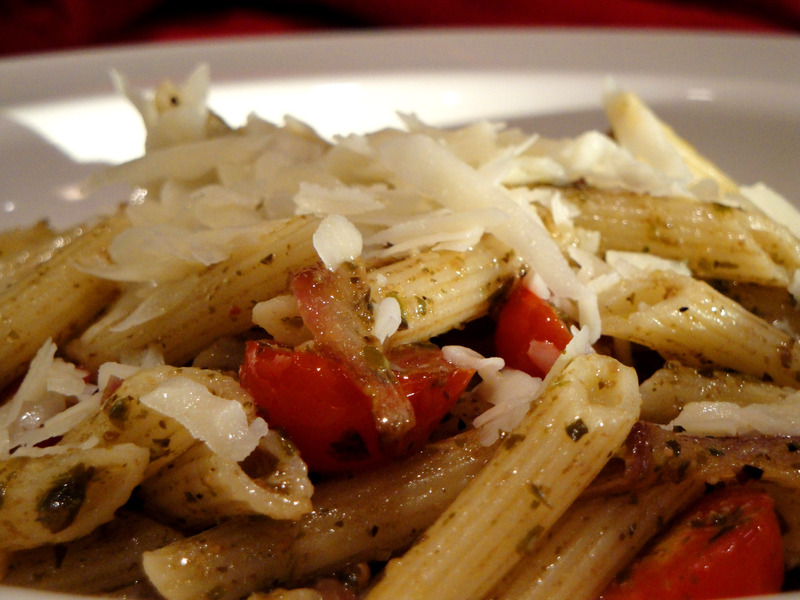 Divide pasta among plates and top with additional basil, crushed red pepper, and crumbled fresh mozzarella. 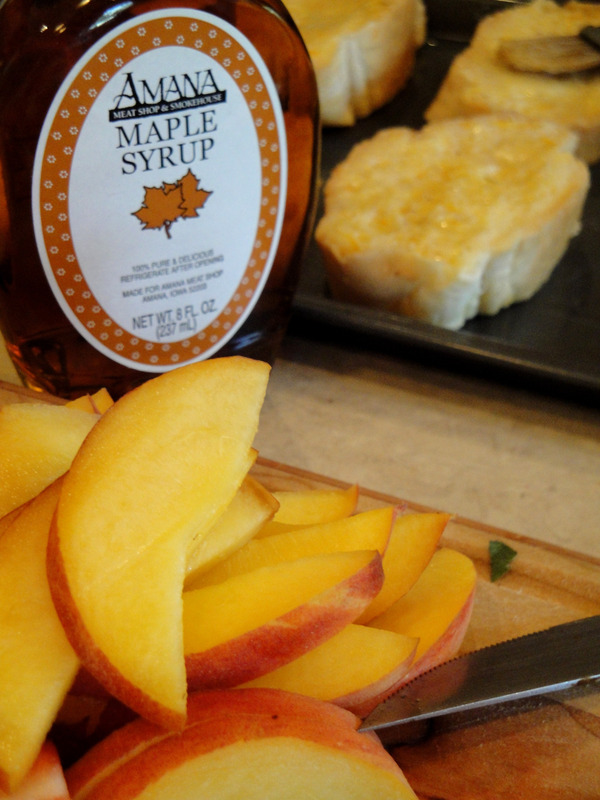 Serve immediately…at the dining room table…or on the front porch of a rustic log cabin! Fresh. Cozy. Delicious! 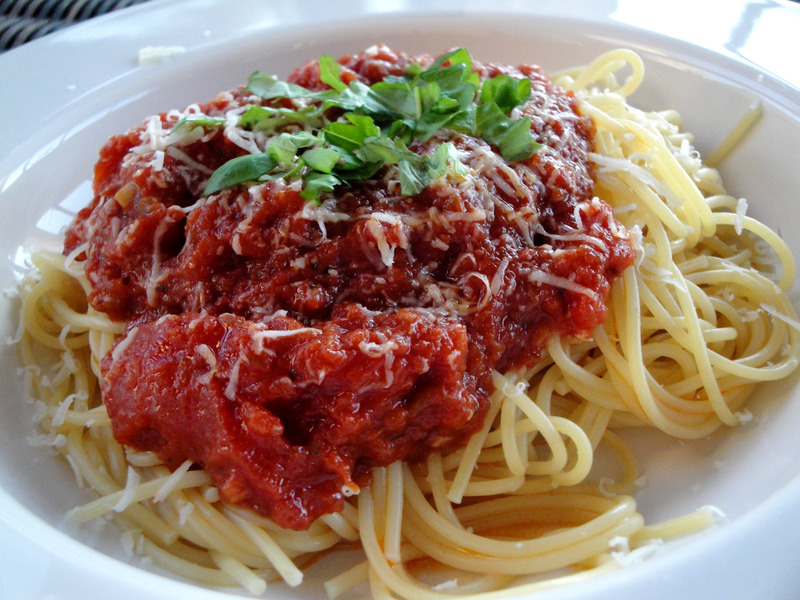 Pair with a glass of red wine! We chose a bottle of Santos Beck Gran Merlot that Mom & Dad Boudreau gave us for our anniversary. SO good. Thank you Mom & Dad. Indulge. In Live. In Love. In Food. Good Morning!! Let me first apologize for a full week away from Indulge. It feels like I have been away from the blog forever. In addition to a hectic work week, Ryan and I enjoyed some time away last weekend. 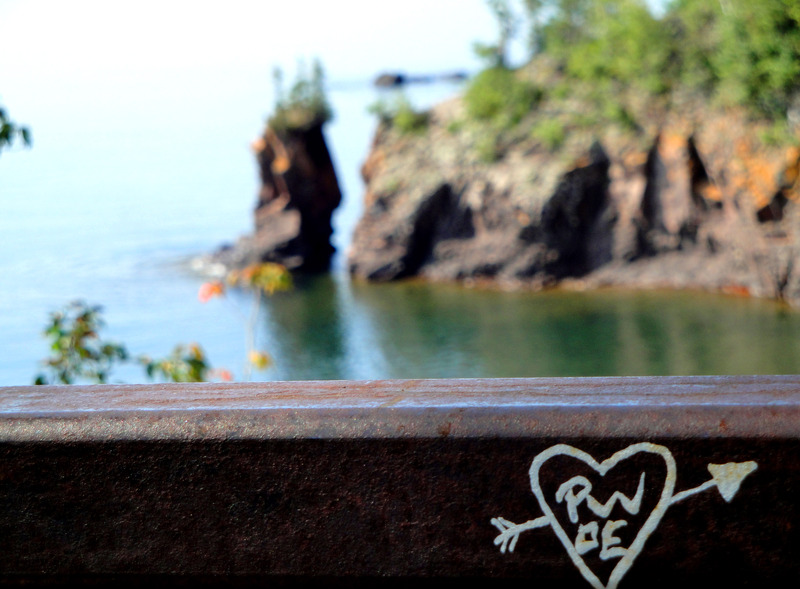 We ventured just North of Duluth MN to Grand Superior Lodge on the beautiful North Shore of Lake Superior. What a peaceful, nostalgic escape. 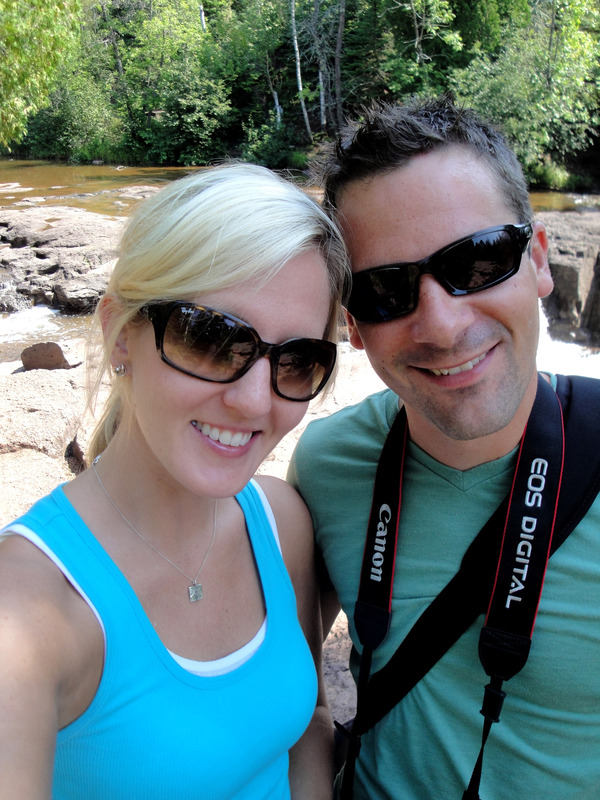 We spent a few hours each day hiking the same State Parks that we have hiked many times before….our favorite being Gooseberry Falls. 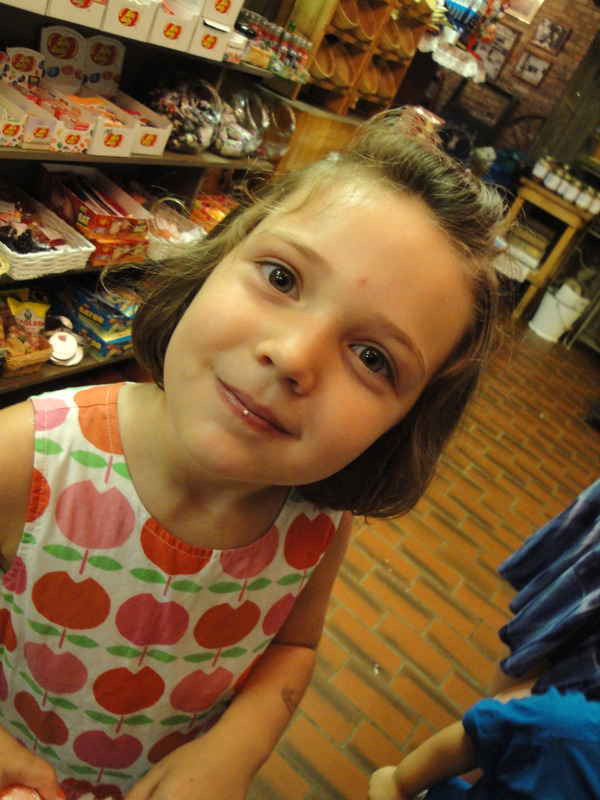 We’ve been to Gooseberry in the spring, the fall, the winter, and in the dead of summer. It never disappoints! 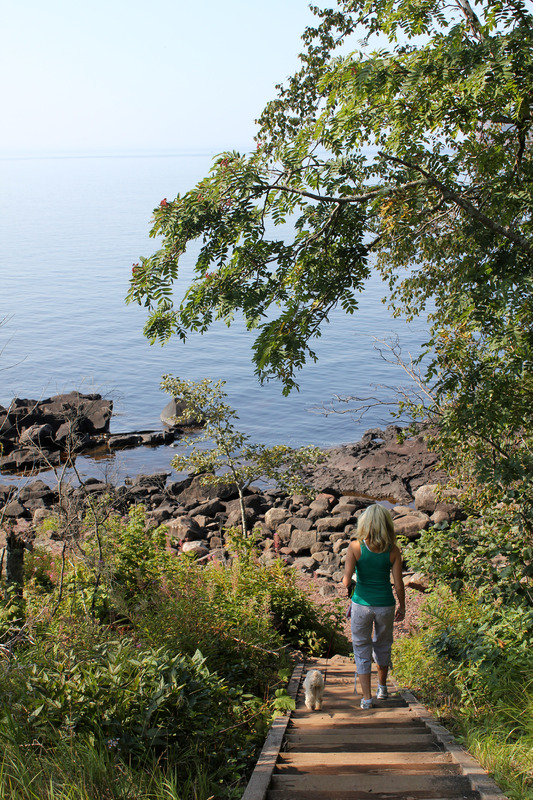 This time we also drove further north to Tettegouche State Park and adventured through the trails there. Breathtaking! 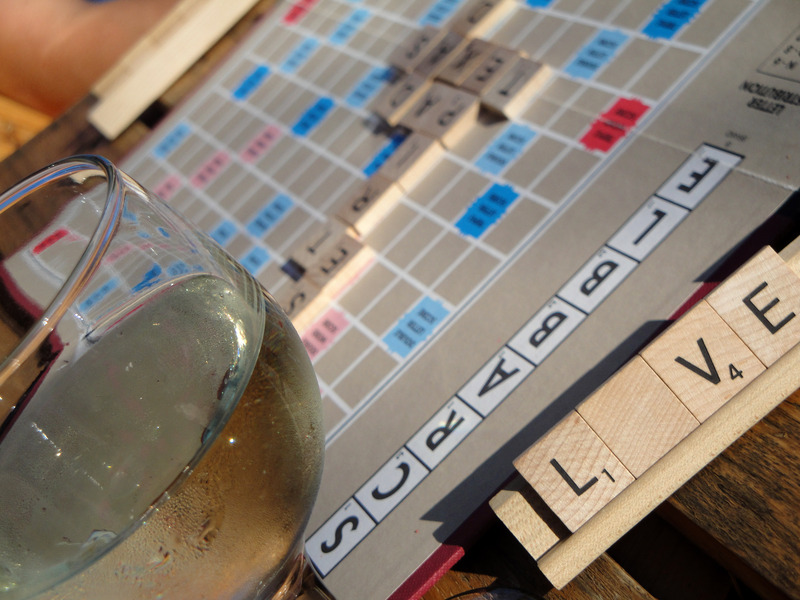 In between hiking and napping and relaxing on the shore….we played several games of Scrabble. There was a game of scrabble played cozied up in the cabin…in which I won. 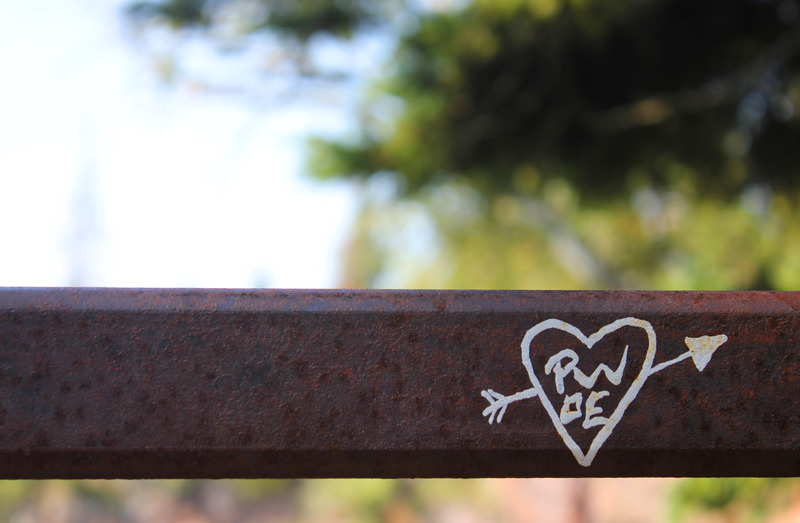 There was a game of Scrabble played out on the porch…and Ryan won. And on our last afternoon…there was a rubber matched played on the rocky beach…Ryan won again. 🙂 Congrats Buddy. While a competitive game of Scrabble is always enjoyable, maybe the most fun of all was had in the kitchen of our one bedroom log cabin! We were excited to try new recipes and indulge in some of our “old school” favorites. Over the next week, I will share these recipes with you. The first snack we tackled was Buffalo Wings. I know I know. Buffalo Wings. Sounds easy right. Like, what’s the big deal?! Well let me tell you…these are the BEST Buffalo Wings I have EVER had. No joke. You see, Ryan and I started going up to Grand Superior resort in 2000/2001 when we were just Sophomores/Juniors in college. And at that time, one of favorite treats was stopping into the resort restaurant, Splashing Rock, for Happy Hour and ordering a cold beer and some hot wings! Unfortunately, the menu has changed in the last couple of years and it no longer includes wings. BOOO. 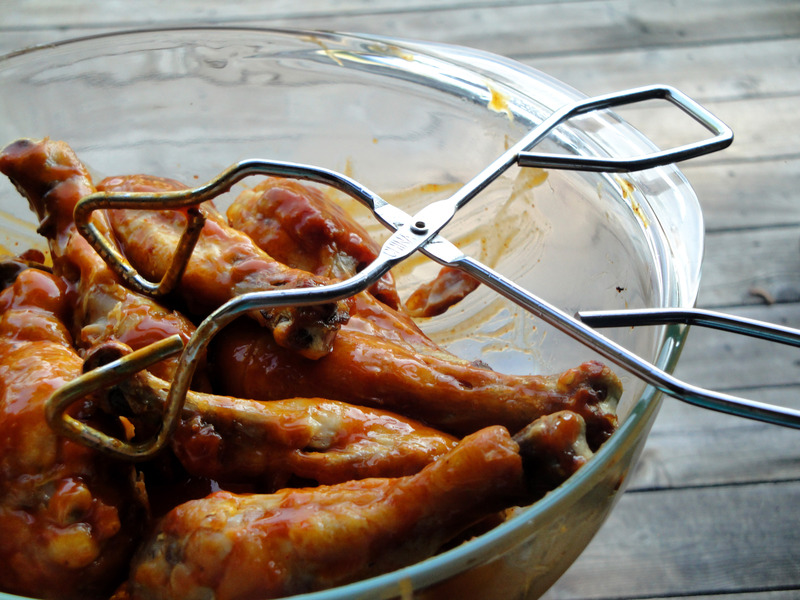 So…we called up Mom & Dad Boudreau (who we knew made great homemade wings) and asked for their recipe. And today, I swear to you…they are my FAVORITE. Easy. Tasty. Perfect. Preheat the oven to 400 degrees. 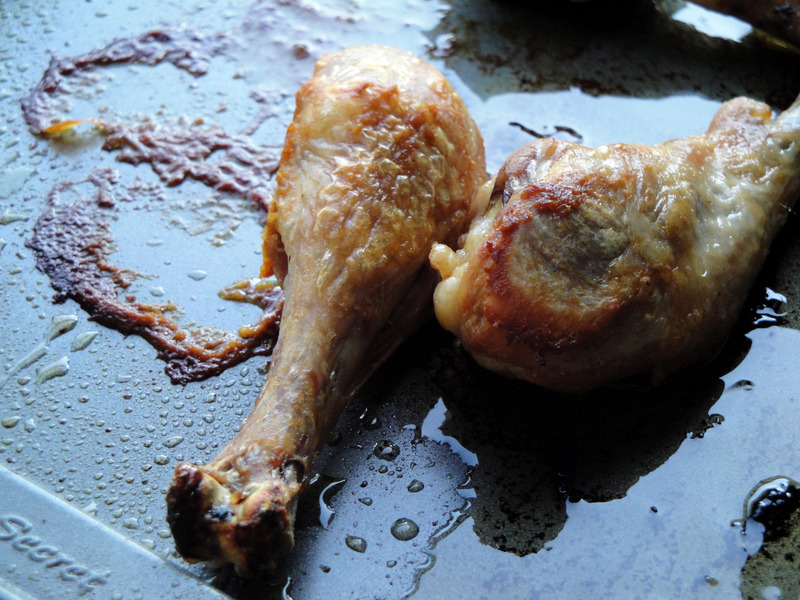 Spread drummies on cookie sheet and drizzle with olive oil. Bake for ~40 minutes, turning frequently (~10 minutes). You will want to bake them to your desired crispness. 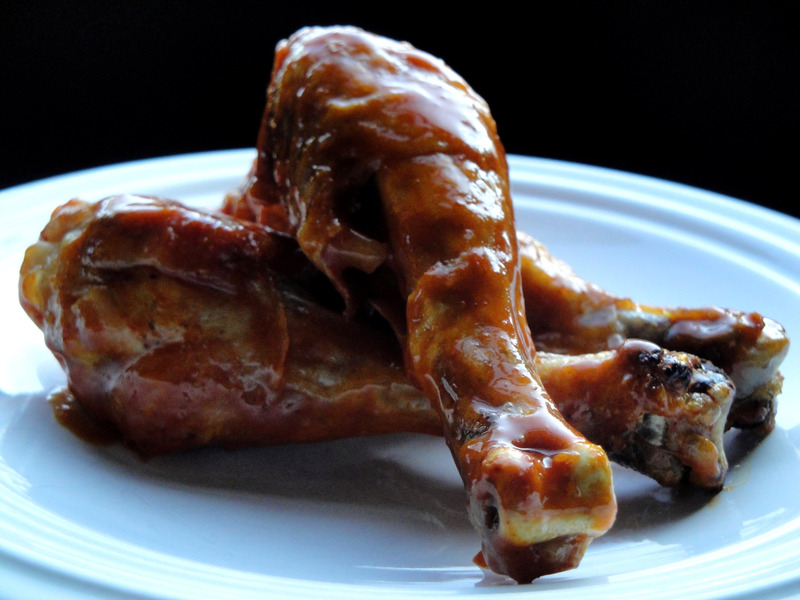 Remove drummies from the oven and lay in a large serving or mixing bowl. 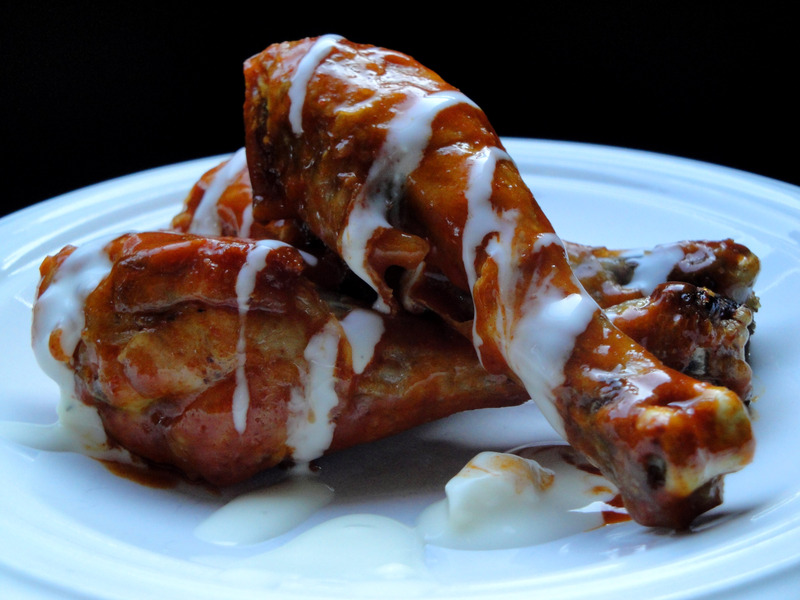 Drizzle with Buffalo Sauce and toss. 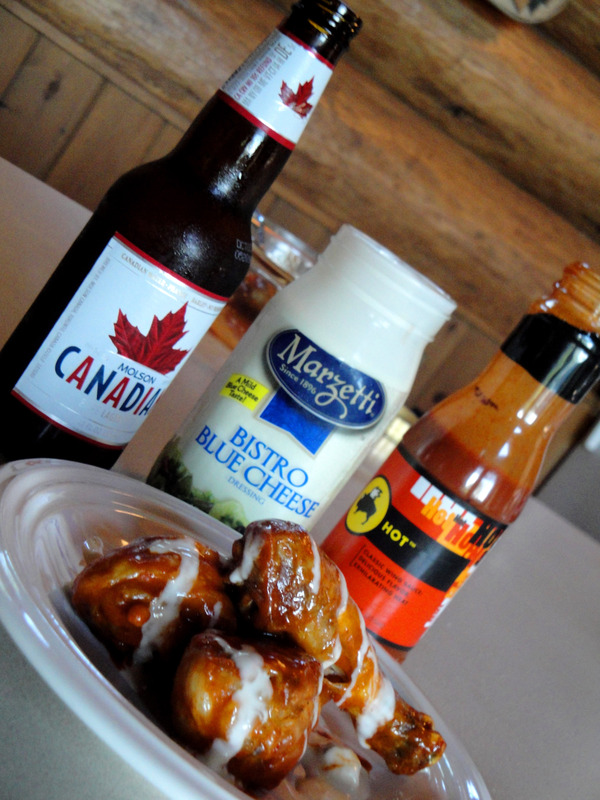 Drizzle with Blue Cheese (or Ranch) dressing. 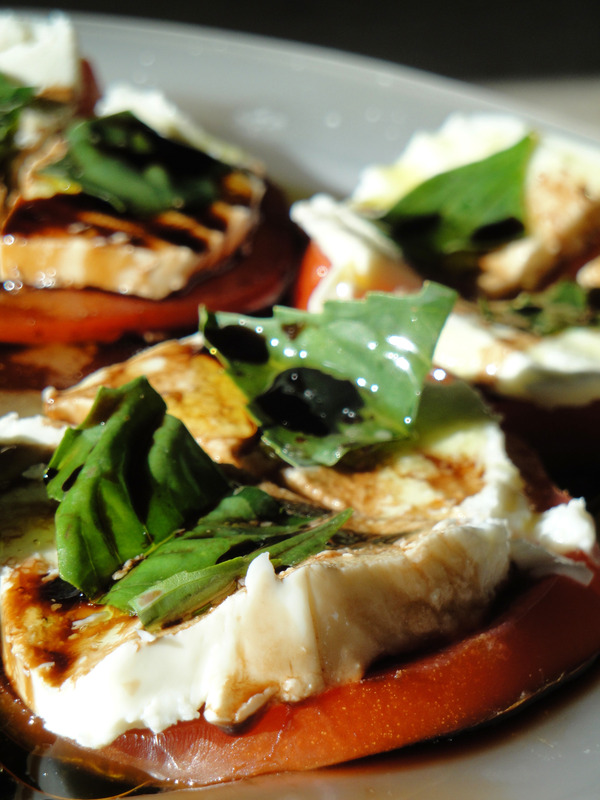 Serve with an ice cold bottle of beer…and indulge! With buffalo sauce all over my face and a half-eaten drummie in hand, I declared to Ryan, “These are the best wings I have EVER had.” I was serious. It’s Monday again and if your week looks anything like mine, you will be needing at least one quick dinner fix this week! With that in mind, I bring you “Chicken N Cherries”…a lunch we shared with our friends Jeremy & Sara a few weeks back. In our remaining weeks of summer, we may as well enjoy the fresh produce and grilling temps available to us. 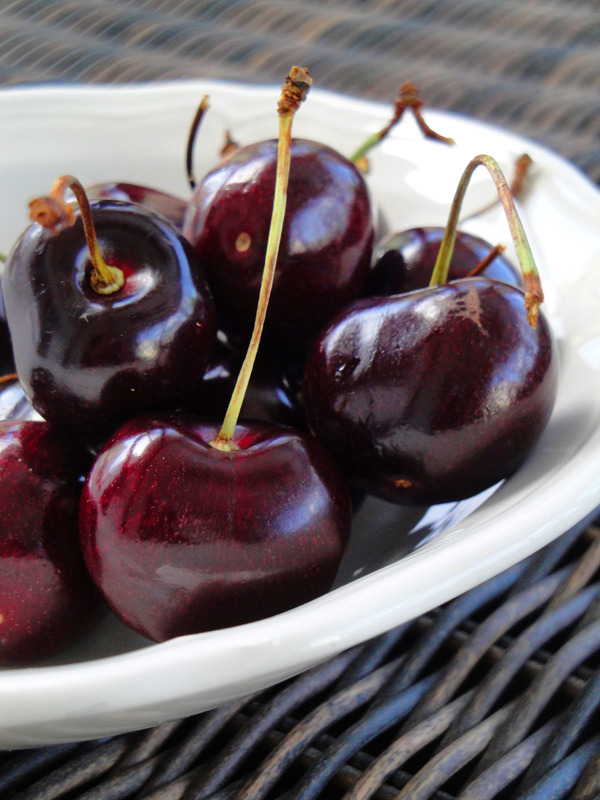 As the 4 of us prepped our salad, corn on the cob, and chicken, we all snacked on fresh cherries. Life isn’t always like a bowl of cherries…especially during a busy work week…but that doesn’t mean you can’t enjoy some when you get home. 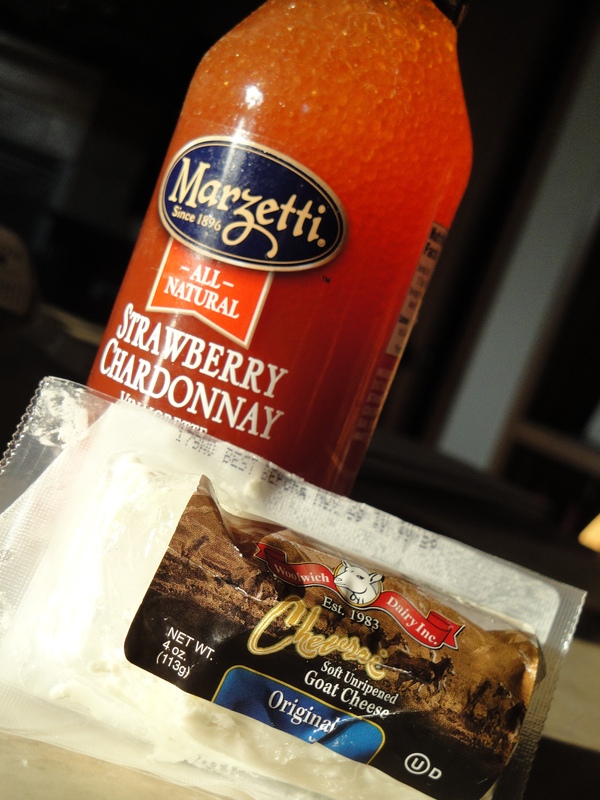 Indulge in a few as you make your meal or add them as a sweet side! To whip up an easy chicken sandwich that is everything but ordinary to your taste buds…season your meat with your choice of Penzey Spices. Sara often mentions Penzey Spices in her blog and recipes, for example: http://sarabconsulting.blogspot.com/2010/05/penzeys-spices-breakfast-sausage.html. 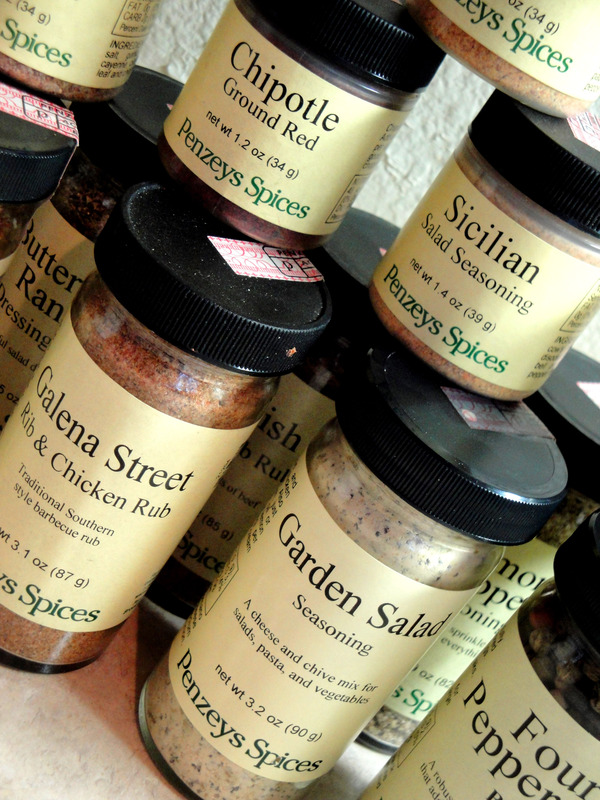 Ironically enough, Ryan & I had received a large gift box of Penzey Spices as a wedding gift 5yrs ago. Because of my inexperience with Penzeys, I never tried them. 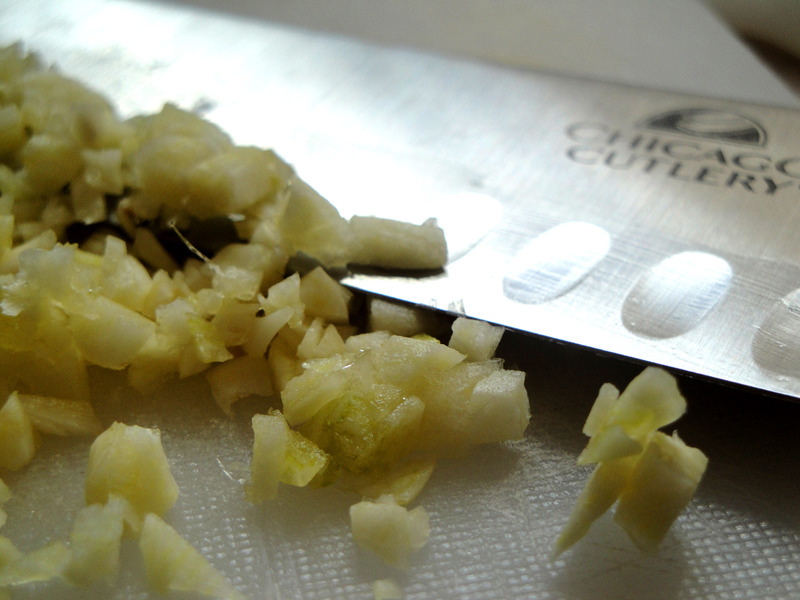 Ensure all of your ingredients are prepped. Chicken should be brushed with olive oil and seasoned on both sides with Penzey Seasonings. Pepper Jack cheese and tomatoes should be sliced. Lettuce should be rinsed and torn into bun size pieces. Once the grill is preheated, brush grates with Extra Light Olive Oil so that the chicken does not stick. Place the chicken on the grill and cook for ~6-7 minutes per side or until cooked through. In the final minute of grilling, add a slice or two of pepper jack cheese to the top of the chicken breast. Allow cheese to melt. Remove chicken from the grill and cover with tinfoil. If you’d like your buns toasted, slice buns and set them on the upper rack of the grill for ~1 minute or until done. Don’t walk away…can burn quickly! Remove from grill. With the chicken and buns grilled, it’s time to build your sandwich! 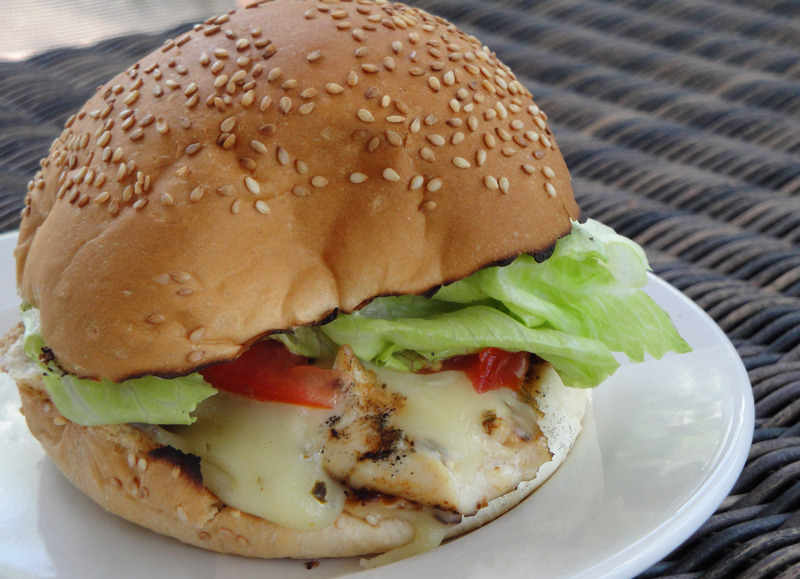 We chose to brush Kraft’s Chipotle Mayo on the bun, add a pepper jack smothered chicken breast, and top with lettuce and tomato! Feel free to add a twist of your own! Chicken N Cherries. Fresh. Fast. Filling! 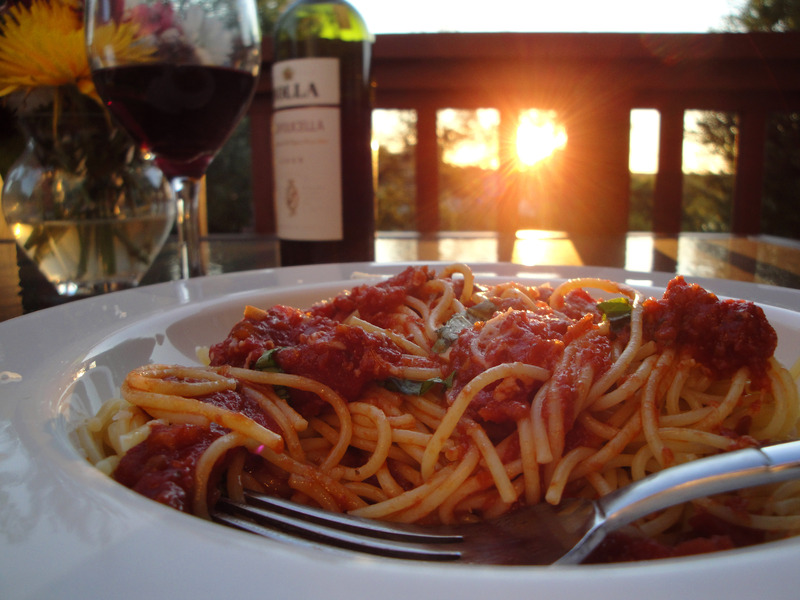 As we head into the weekend and celebrate our victories for the week, I wanted to share with you a perfect summer weekend recipe. To be honest, I often whip this one up during the week as well, but on a carefree Saturday or Sunday, it makes a lot more sense. 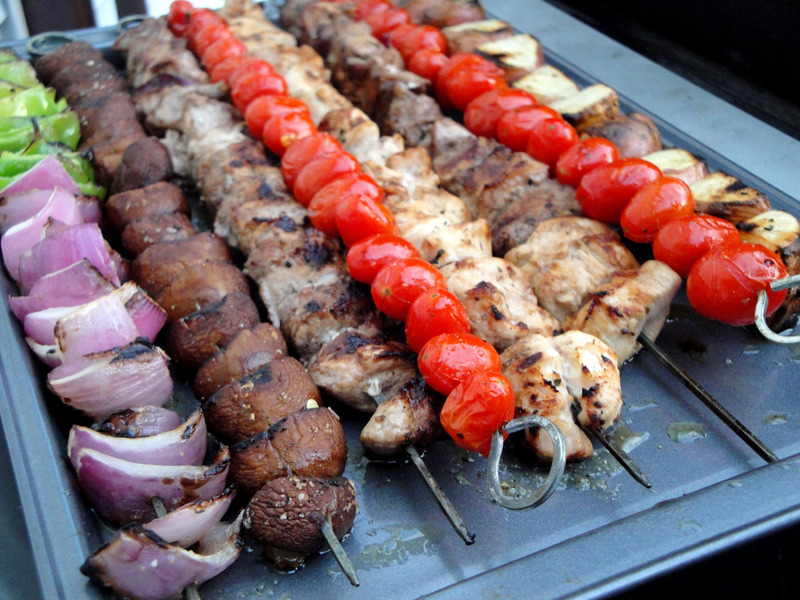 Killer Kabobs! No…they aren’t spicy or bold or upsetting to your digestive tract…but they are SO GOOD. Nothing screams summer like a cold beer and perfectly marinated kabobs! You will notice as you scroll thru this recipe and the subsequent pictures that the Boudreau Kabobs don’t look like the kabobs you can buy at HyVee or your local grocer. Sure, the kabobs at HyVee are pretty and colorful and enticing….but if you want perfectly grilled kabobs, you just can’t skewer potatoes with chicken with steak with tomatoes with peppers with onions. You see…they all cook for different amounts of time. Grill the peppers and onion a couple minutes and they are done. Grill the chicken for ~5-7 minutes a side and it is done! Cook potatoes for awhile longer and they are finally done. 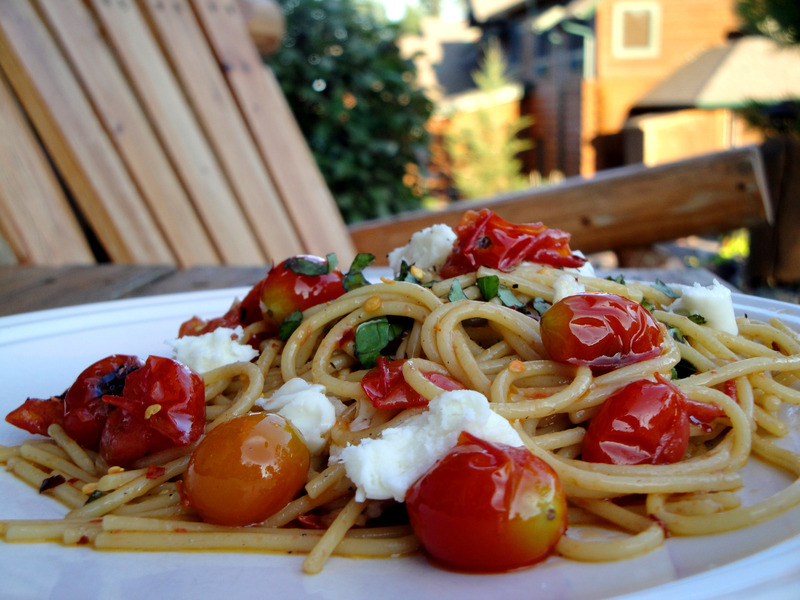 Cook the grape tomatoes all that time…and they are GONE. Wilted. Blackened. Drained. Gone. You get the idea. 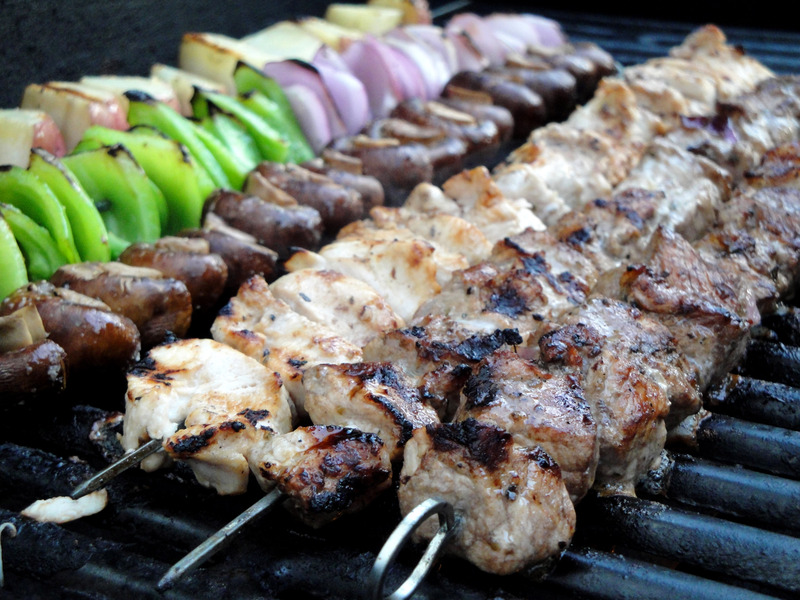 Good kabobs require patience and precision….which is why this is a perfect weekend dinner! 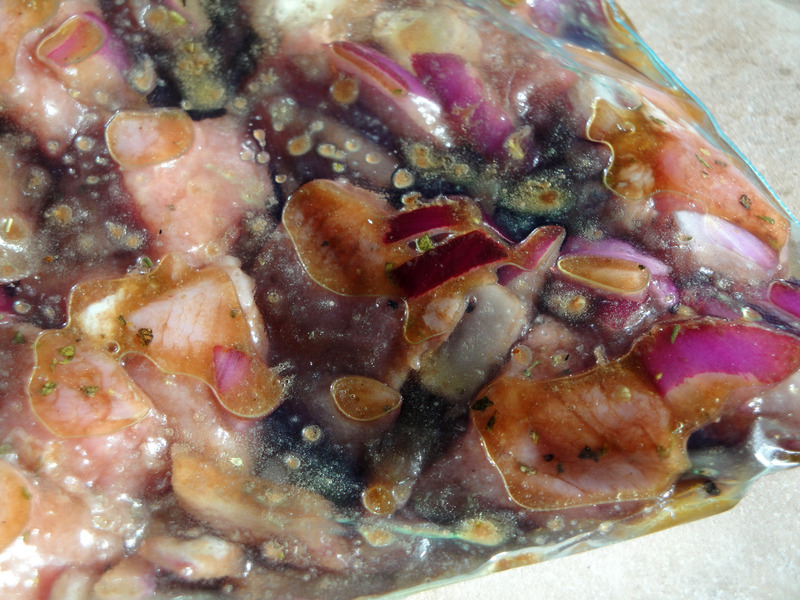 Pork Marinade, see recipe below. Before you begin this meal, either invest in solid metal skewers or soak your wooden skewers for at least 30 minutes in water. 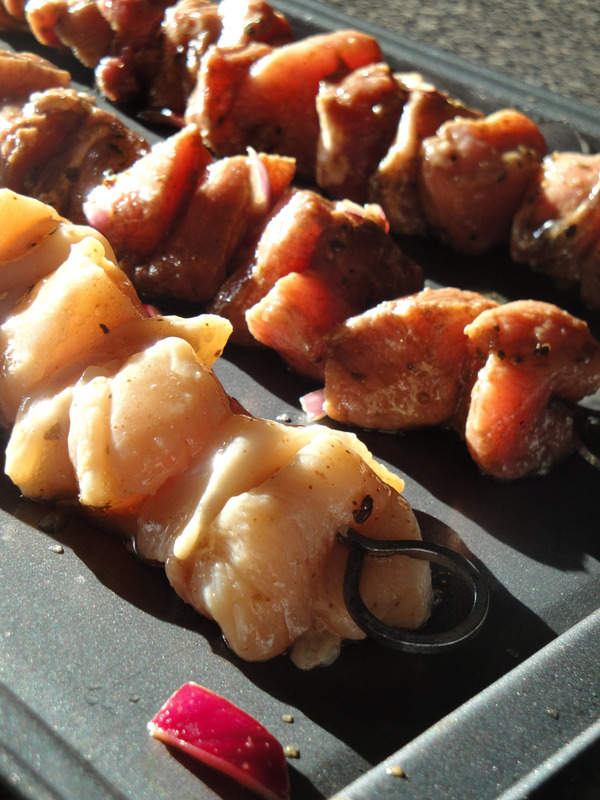 Metal skewers are terrific and reusable! Wooden skewers soaked in water will do the trick but don’t forget the soaking. While the skewers are soaking, place your cubed chicken breast in a sealable sandwich bag and coat with Kraft Balsamic Vinaigrette. Let the chicken marinate for ~20 minutes. In another sealable sandwich bag, combine all the ingredients for the “Pork Marinade”, listed above. Onion, lemon juice, garlic, red wine, EVOO, oregano, salt, pepper and balsamic vinegar. Add cubed pork and let marinade for ~20-30 minutes. 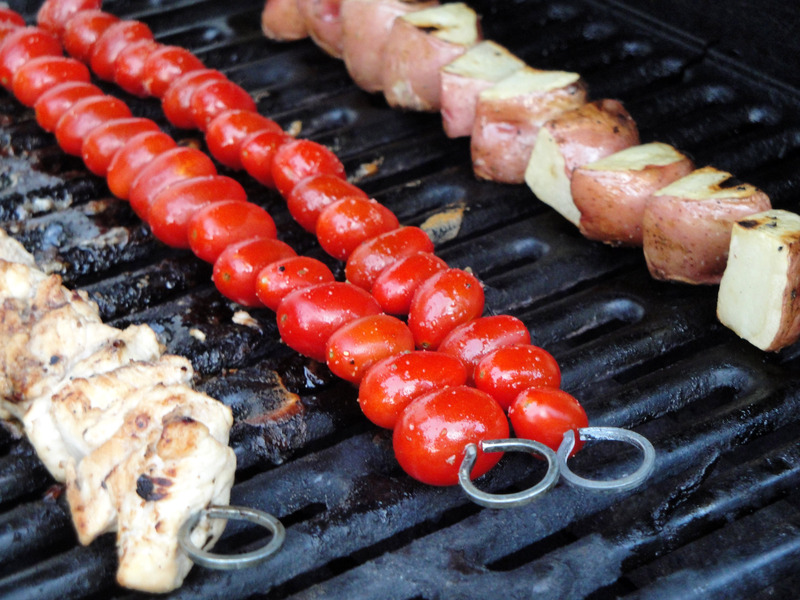 Once your skewers are soaked or set aside and your meat is marinating, preheat your grill to 400 degrees. Prep your remaining ingredients. Next, skewer each item SEPERATELY. 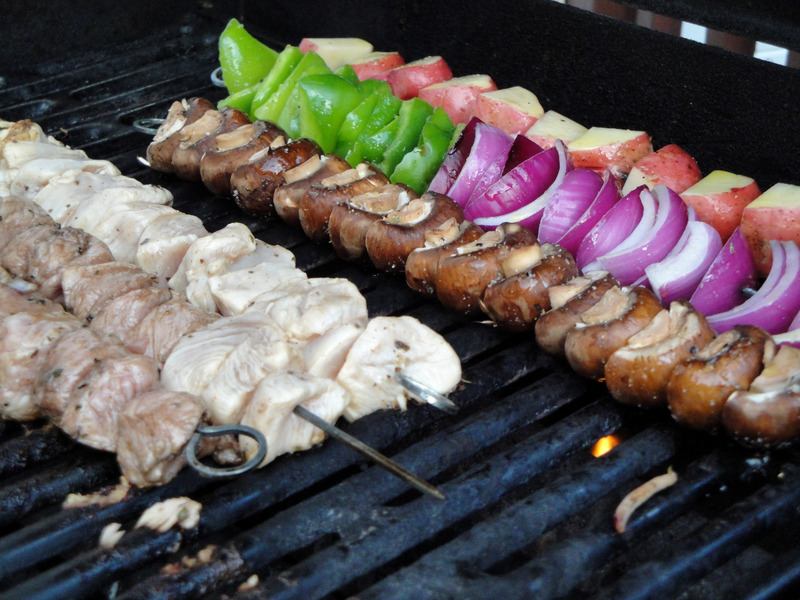 If you run low on skewers, you are safe to combine green peppers and red onions. You can even combine pork and chicken if need be but they are better grilled separately. In a small bowl, combine ¼ cup EVOO, a dash or 2 of Italian seasoning, salt and pepper to taste. Brush over onions, green pepper, mushrooms, and tomatoes. Rotate skewer and brush again to cover all sides. Finally, place all skewers on the grill. Keep in mind that some of the skewers will require more heat for a longer period of time. Be strategic! Meat and potatoes should be placed directly on the lower grates just above the heat. 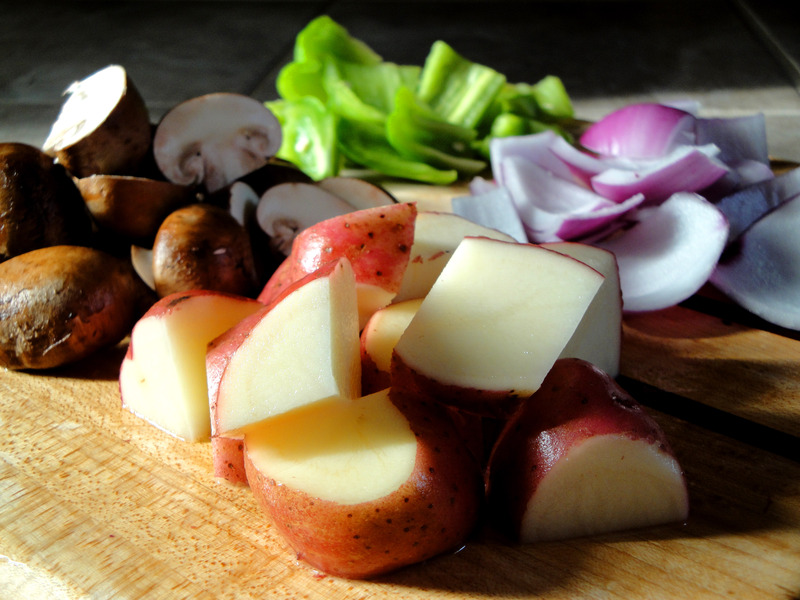 Red onion, green pepper, and mushrooms can also be started on the lower grates. Grape tomatoes, however, started on an upper rack. Rotate the skewers every 5 minutes or so to grill evenly. As each item reaches its peak, remove from the grill and cover in tinfoil. 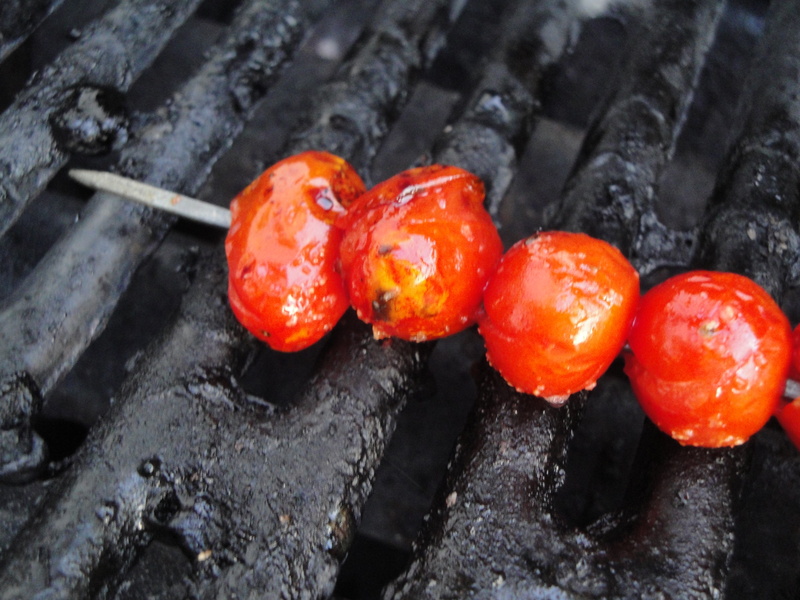 As you make room on the lower grates by removing the finished skewers, move the tomatoes down to the bottom to LIGHTLY blacken. The last few items on the grill should be meat, potatoes, and tomatoes. 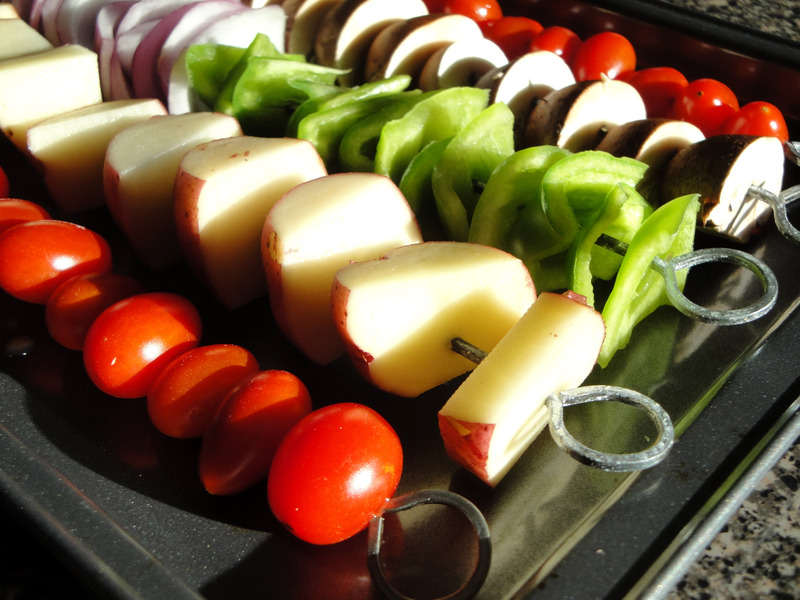 On a large cookie sheet, remove all ingredients from their skewers. Mix. Match. Indulge. My mouth is watering. Enjoy your weekend friends! Hello from Memphis! Is it Friday yet? No??? Shucks! Even after “slowing down” for a 10 minute break to admire a huge frying pan, I was still making executives (and expensive) decisions about the house, fixing the pool, jimmy-rigging the spliced internet wires in the basement, working full-time, and trying to “do-it-all.” In the midst of what was seemingly chaos, I realized pretty quickly that I was going to have to skip some of my favorite meals and hours in the kitchen! Instead…I took a lesson in “30 minute meals”. No, I didn’t call up Racheal Ray, but I threw together a concoction of my own. I decided to grab some of my homemade pesto, some tomatoes from my garden, and throw together a simple pesto pasta in a jiffy! Simple but delicious!! First, start by preparing the penne pasta as directed on the box. While the noodles are boiling, sautee the vegetables. In a large sautee pan, heat EVOO. Add onion and garlic. When onion is translucent, add grape tomatoes, pesto, and pine nuts. Cook for ~5 minutes until tomatoes heat thru but are not overly soft. Season with salt and pepper. Add additional EVOO and/or Pesto to taste. For a heavier dish, add grilled chicken. Strain pasta and add to the pesto sauce. 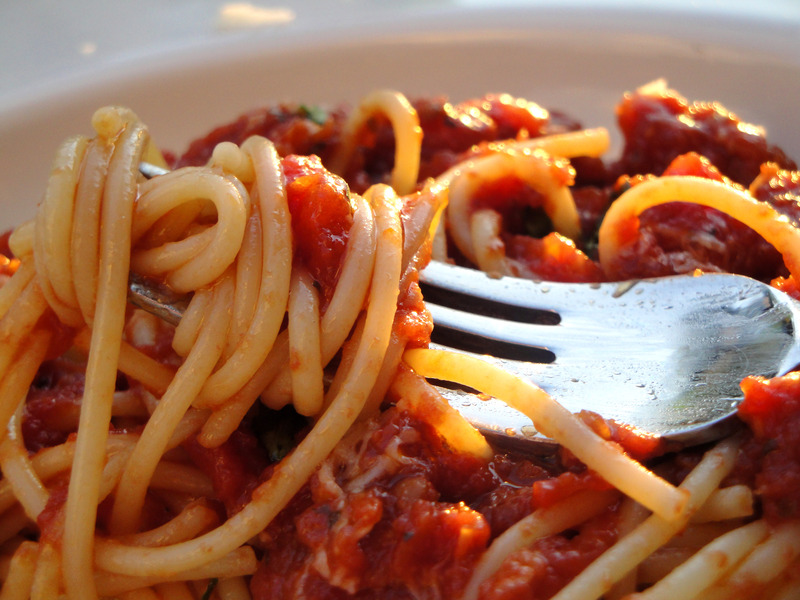 Toss until pasta is completely covered. 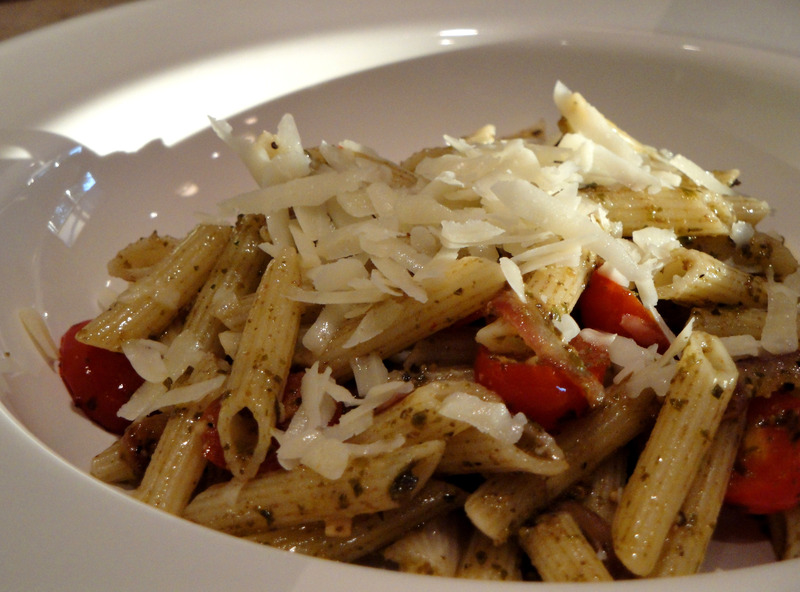 Garnish with freshly grated romano cheese….and if you’ve had a really long day…. It’s hard to believe that we are a good week into August already. Where does the time go?! Summer comes and goes so quickly but with the few weeks of hot hot weather remaining, let’s indulge in a few more refreshing summer flavors! While I had never been to there for lunch, I was sure that the lunch menu would be just as satisfying as their dinner menu. I was right! Tiffany and I both ordered a fresh summer salad with grapes, fresh goat cheese, chicken, and a delicious vinaigrette dressing. As I drove back to Iowa City that afternoon, I made mental note to create a similar salad at home. 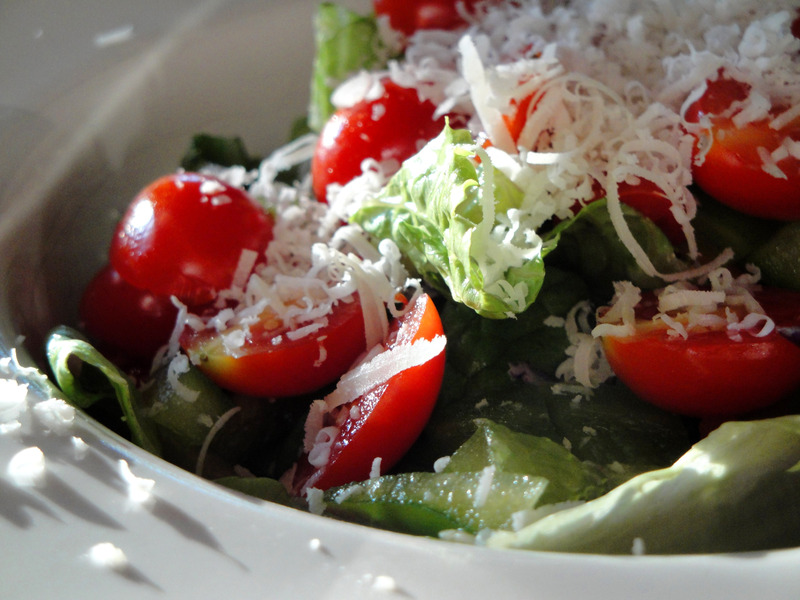 Whether you are looking for a small flavorful salad for lunch or a heftier salad for dinner, give this one a try! First, prep chicken breasts. Trim excess fat and rinse. 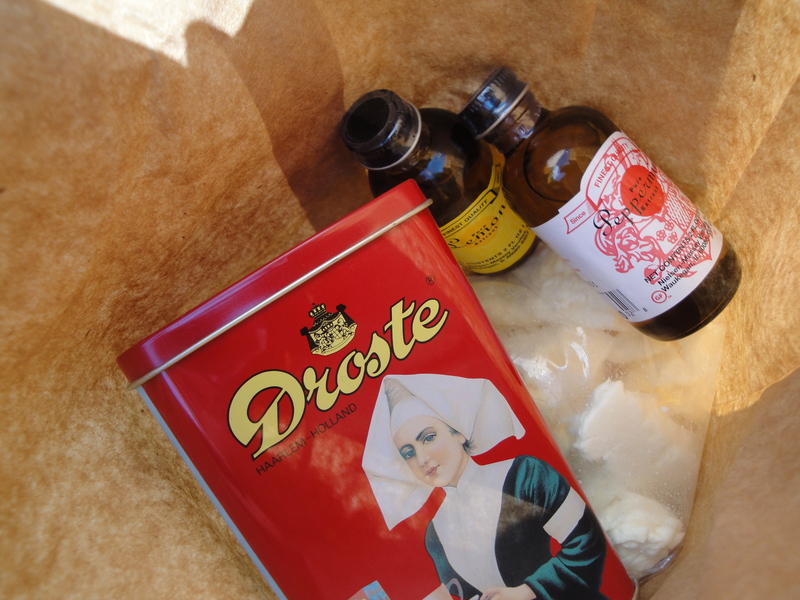 Pour 3/4 cup of White Balsamic dressing into a sandwich bag. Add chicken breasts and marinate for 15 minutes. Preheat grill to 400 degrees. Grill chicken breast for ~7minues per side or until cooked through. Dice and set aside. Divide spring mix greens among 3 bowls. 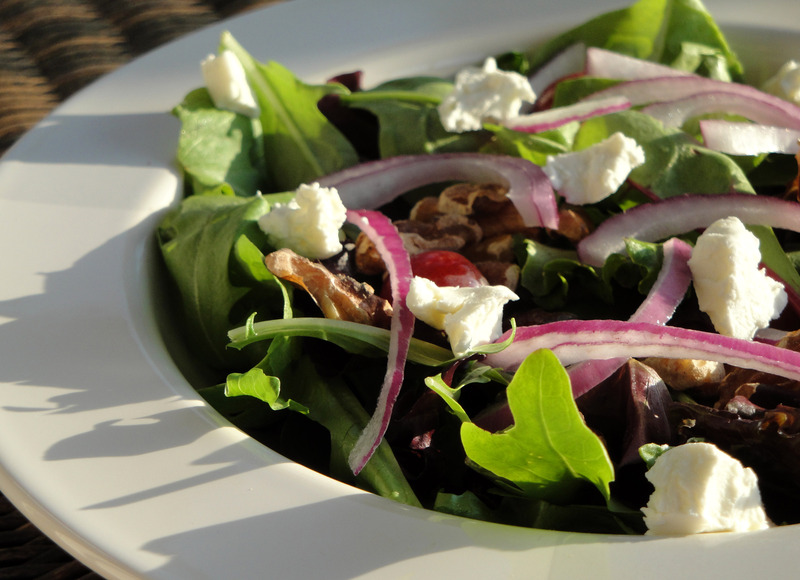 Top with red onion, nuts, grapes, goat cheese, and dried cranberries. 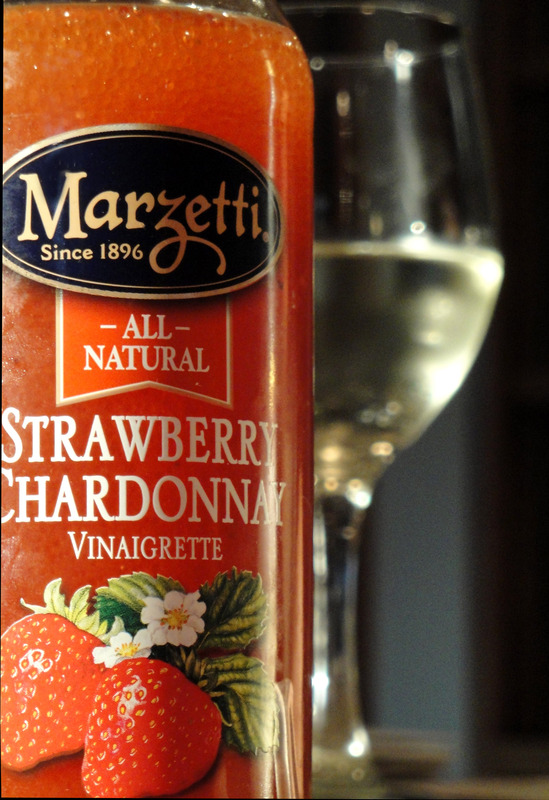 And drizzle with Marzetti’s Strawberry Chardonnay Vinaigrette. YUM! Ryan and I love this salad! For a lighter lunch, skip the chicken. 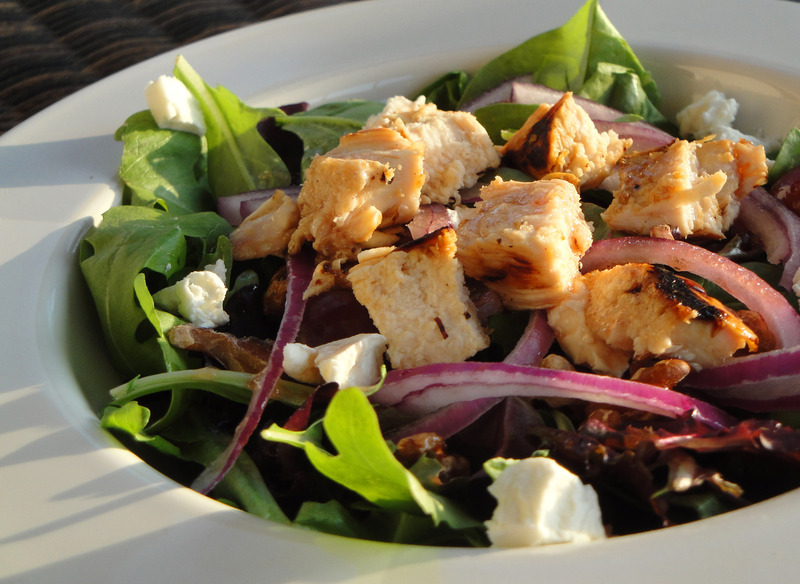 For a filling, refreshing dinner, add the protein and indulge! Good Morning! Ahh…it’s Friday again. Do you have plans this weekend? Are you looking for something to do? 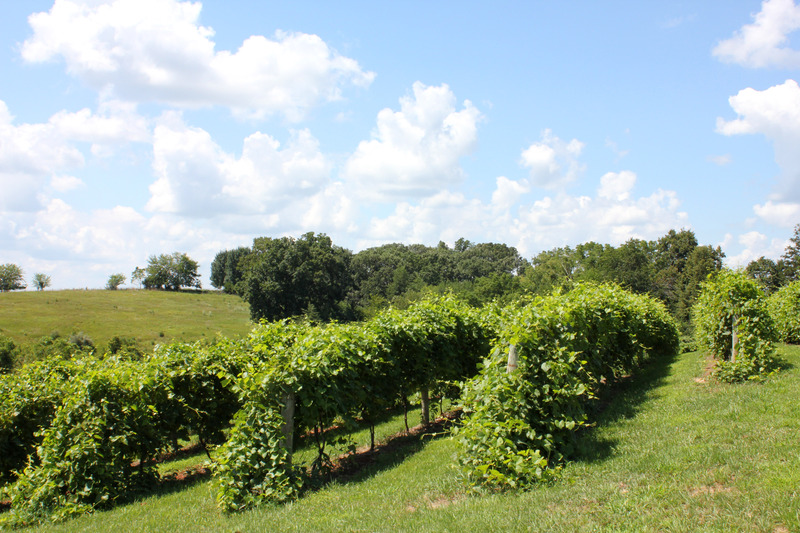 I have an excellent idea…how about a local winery tour?! 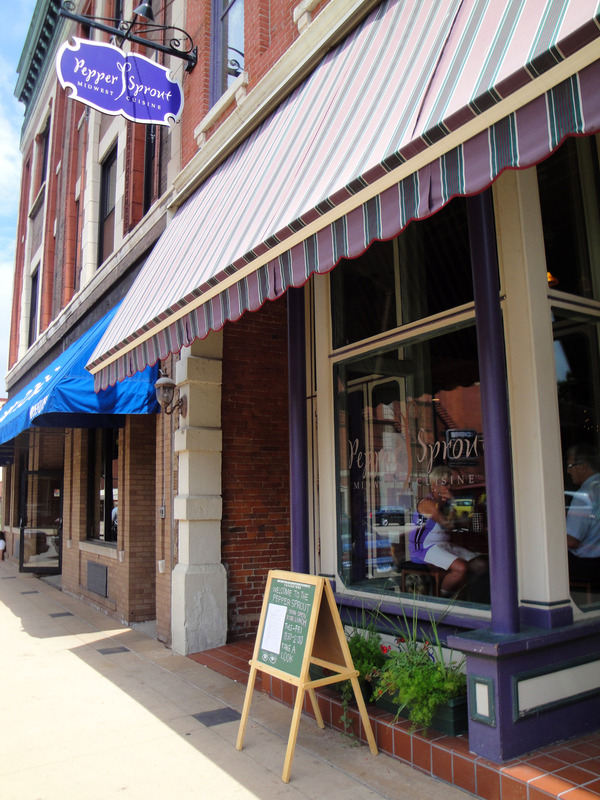 I’m sure you’ve read about “Vacationing in your hometown”….well, that is EXACTLY what I am talking about! That’s right. Last weekend after our good friends left to head back to Minnesota, Ryan & I decided to spend the afternoon touring local Iowa wineries. 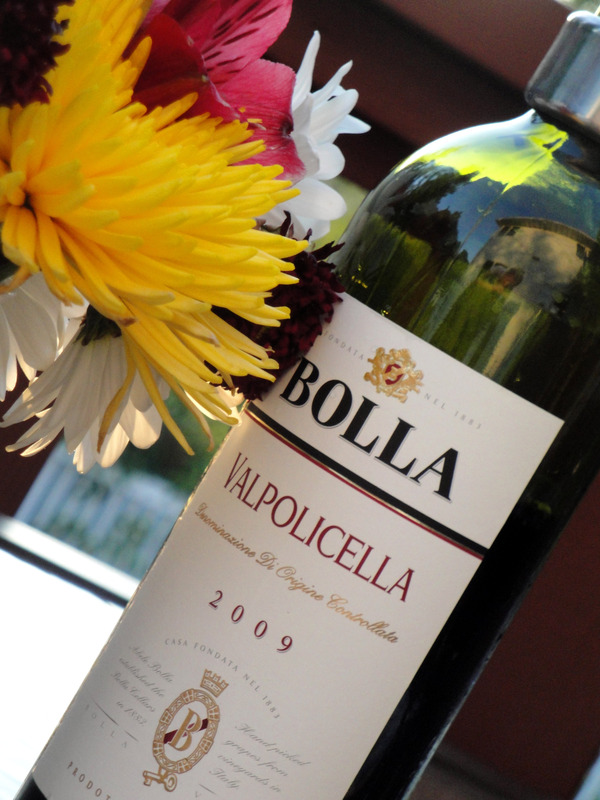 You see, every now and then we catch ourselves planning a trip back to Napa and Sonoma. Then, without fail, we realize that we have far too many vacation destinations on our calendar for the year. And once again, Napa’s repeat visit gets pushed back another year. Taking matters into my own hands, I planned an afternoon visiting 4 wineries: Wallace Winery, Muddy Creek, Cedar Ridge Winery & Distillery, and Fireside….in that exact order. 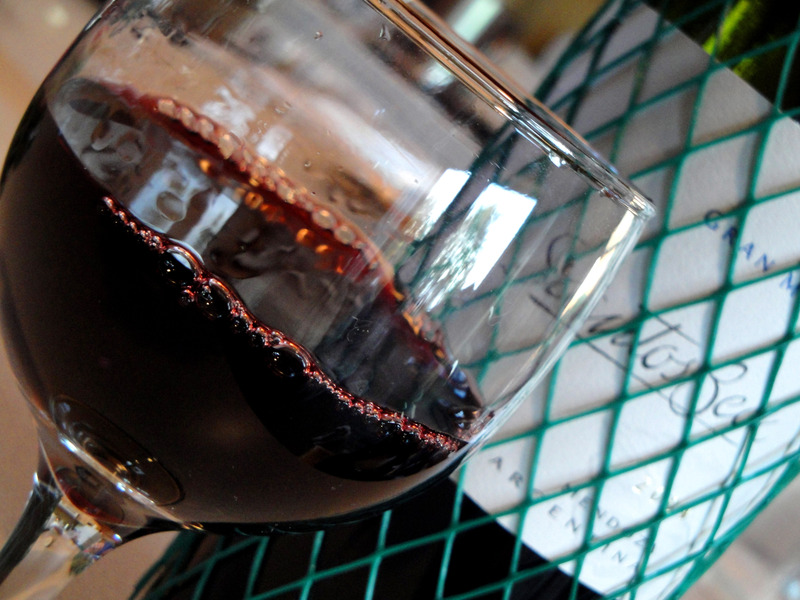 To our surprise, both Wallace Winery and Muddy Creek were closed and no longer in business. How unfortunate! We’ll miss them. 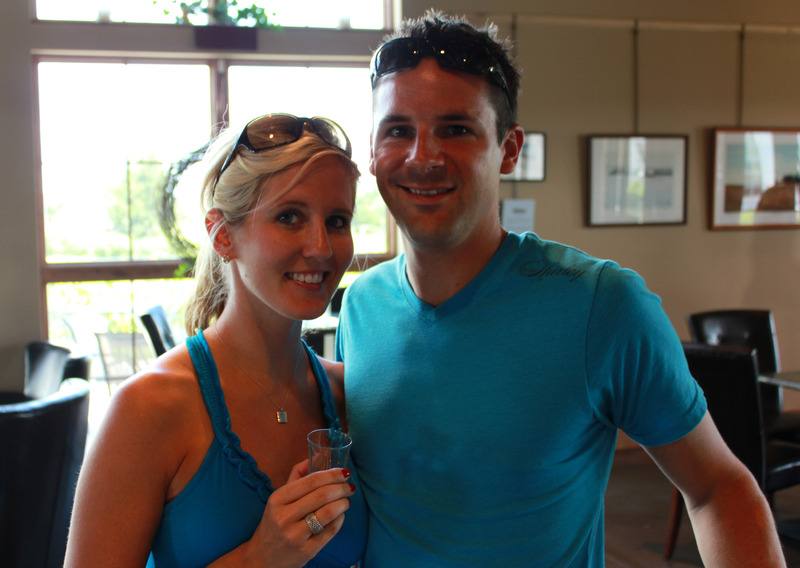 Our third stop however, Cedar Ridge Winery & Distillery, was open and booming with folks just like us! 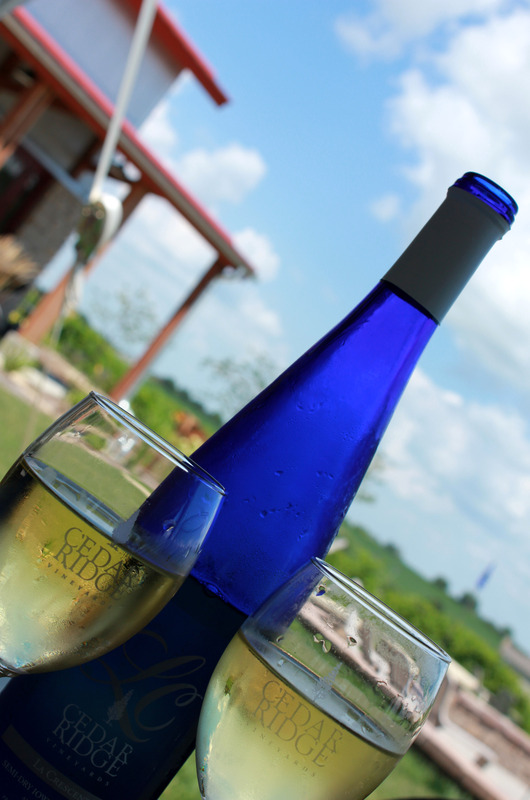 Folks who were interested in a relaxing Sunday afternoon…Napa style in the middle of Iowa! 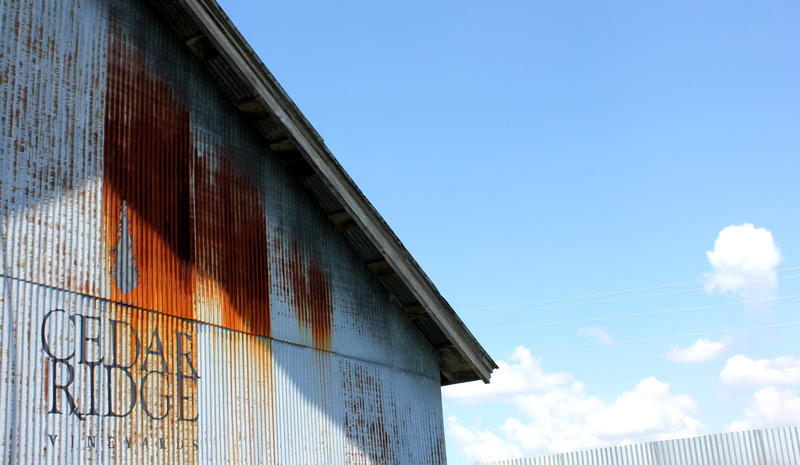 Cedar Ridge is located on Hwy 965 between Iowa City and Cedar Rapids, near Swisher. 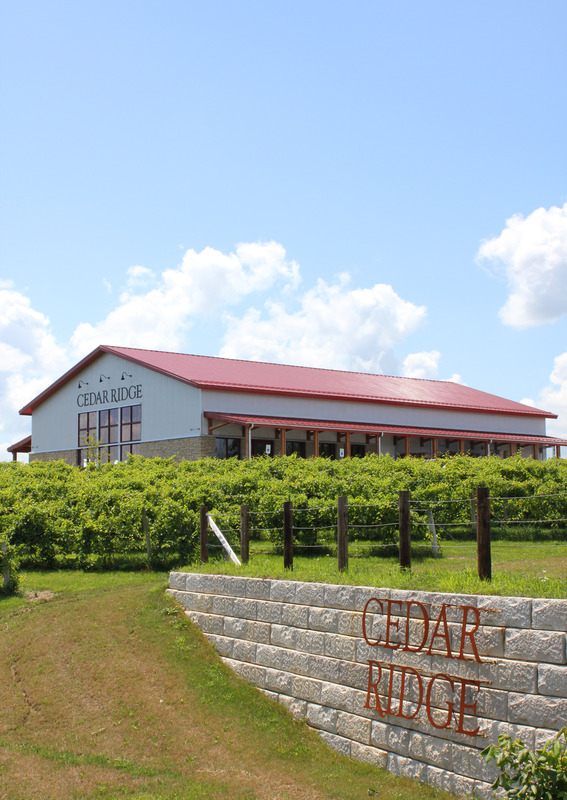 After opening last November 2009, Cedar Ridge is celebrating a great summer! Having visited, I understand why. Incredible. 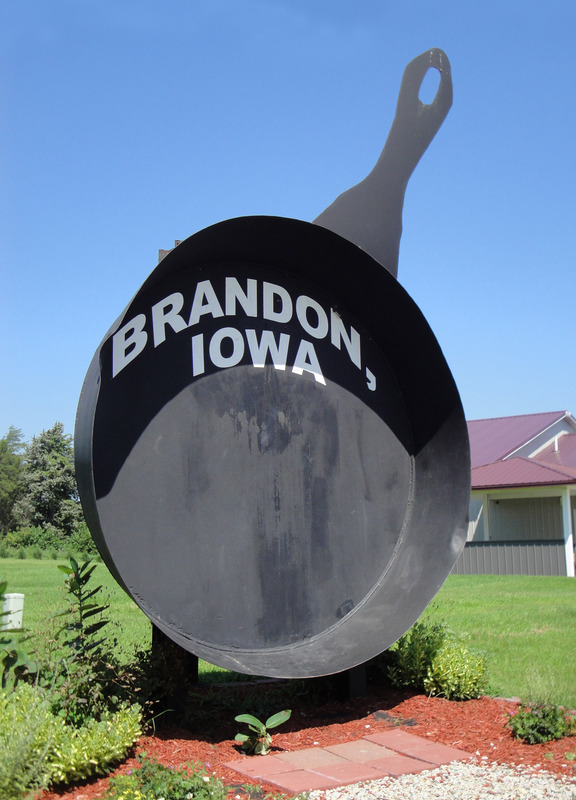 If you are an Iowan, you have to check this one out. 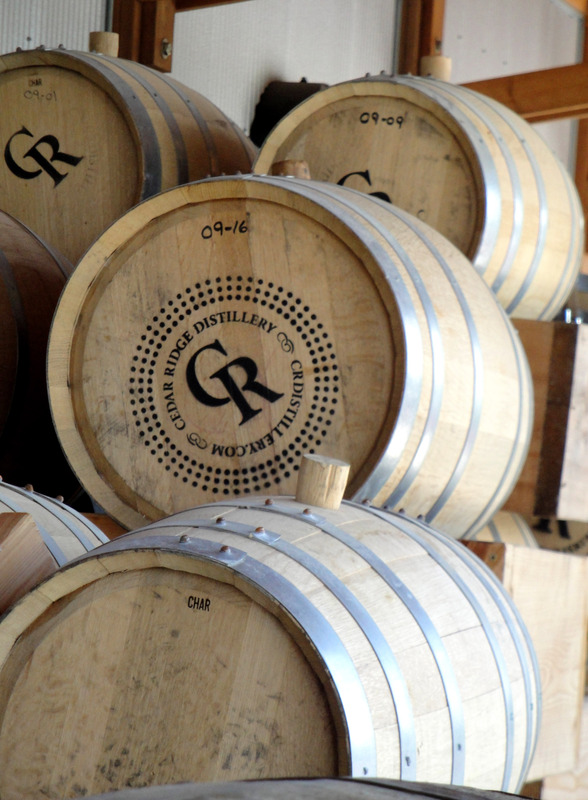 Not only do they make & sell some great wines, but they also make & sell spirits (such as Clearheart Vodka & Gin), as well as Iowa Bourbon Whiskey! 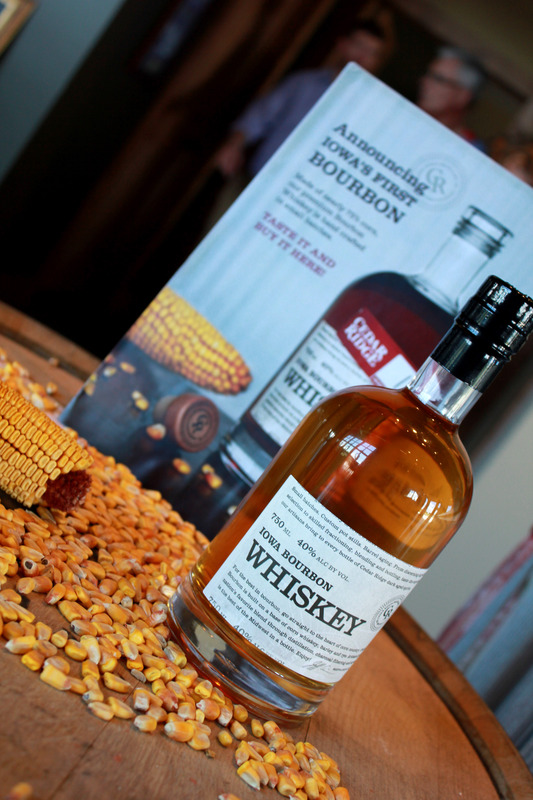 This is the first Bourbon produced in Iowa since 1920, the Prohibition era. See…something for EVERYONE! Who knew all of this Iowa corn served yet another great purpose!? If you like Whiskey…this is a good one. While we sampled it and took a bottle home for ourselves, we were on a wine mission last Sunday. 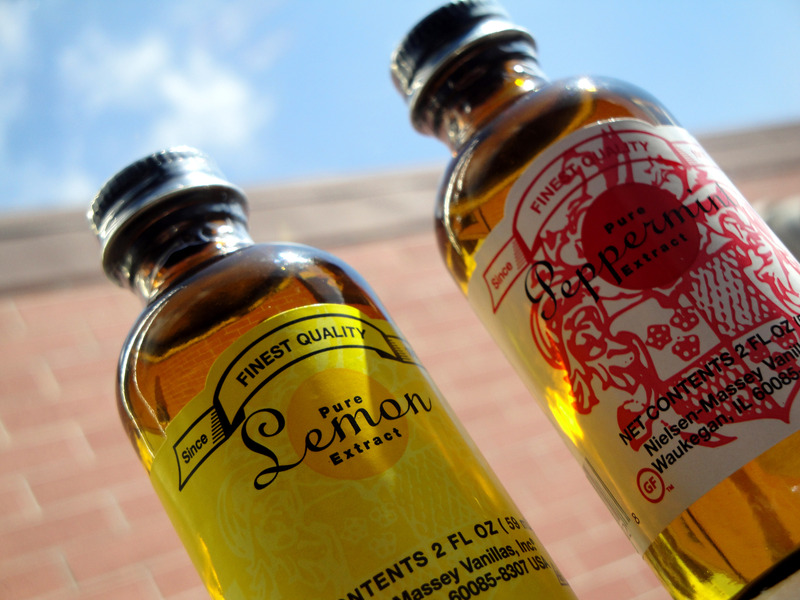 Lucky for us, Cedar Ridge offers a free and generous tasting of their wines, spirits, and whiskey….even Lemoncello. Yes Sir…we tried them all! (well…almost all of them). 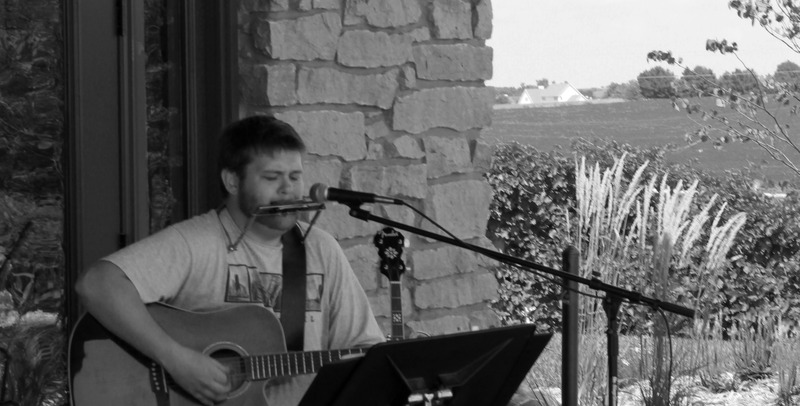 To our surprise, Cedar Ridge also had live music that afternoon. From 1-4pm, Jason Ray Brown ‘One man band’ was playing! Jason plays bass drum with his right foot, hi-hat with his left, guitar and banjo, sings and play harmonica at the same time! He was great! From the conversation we had with the Event Planner, Shawna, it sounds like they have live music often…most often Friday evenings from 6-9 and Sundays from 1-4. This Friday (tonight) is Jason from the Nadas. For those of you who love the Nadas, it would be a great night to head out there. Maybe we’ll see you there! While we enjoyed relaxing and listening to Jason, we indulged in a bottle of La Crescent (this delicious semi-dry white has it all~rich nose of apricot, grapefruit, passion fruit and honeysuckle, plenty of mouthfeel, and a lingering citrusy finish. Limited quantity for 2010.) Yum! 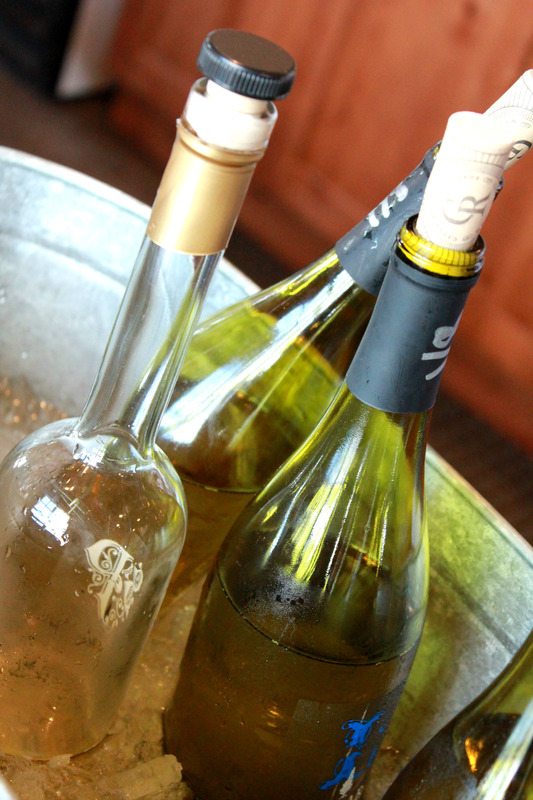 A perfect white wine for a hot summer Sunday in Iowa. And just before we decided to head home to Ruby, we took a quick stroll through some of the vineyards. How beautiful! 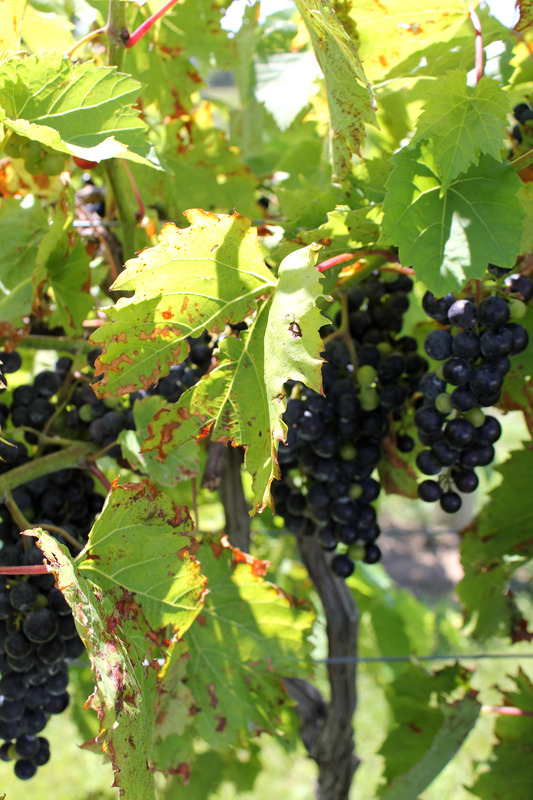 It was also amazing to me that the majority of the grapes used to make their wine are estate-grown. Local and delicious! If not, look up the wineries in your area and head out for a tour. You won’t regret it! Enjoy your weekend. Find time to indulge. Twin County Dairy was built in 1946 by a group of Amish and Mennonite farmers. It was named Twin County Dairy because the 32 members, who formed a co-op, lived in the adjacent counties of Washington and Johnson. They hired Swiss-born John Roetlin, Sr., who had migrated to the United States in 1928. He learned the art of cheese making from his father in Switzerland. Under his direction, the new dairy made its first milk collection and produced its first wheels of Swiss cheese on March 17, 1947. In 1963 they expanded from producing only Swiss cheese to a diversified manufacturer of cheddar, colby, brick and Swiss. 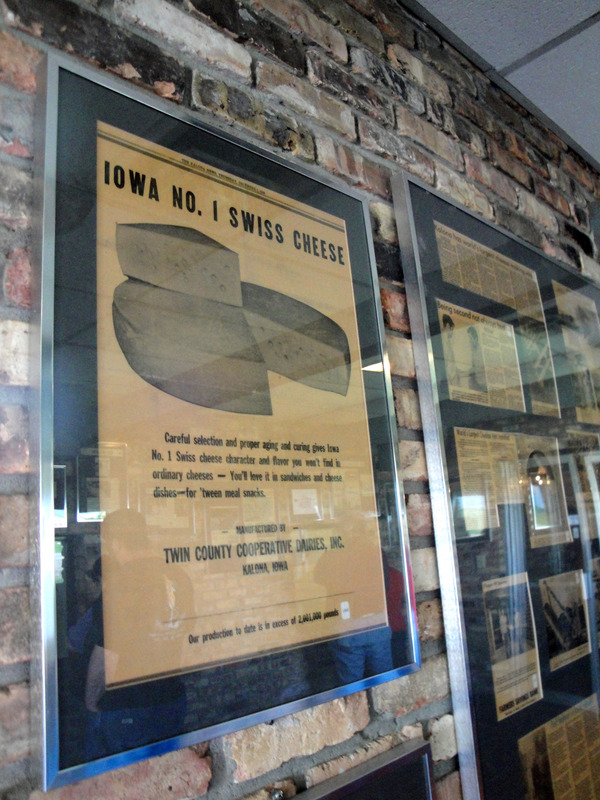 Over the years, Twin County Dairy, Inc. has received many awards in cheese judging contests, including second place in the world. Today, Twin County Dairy, Inc., one of only five cheese factories in Iowa, buys over two million pounds of milk per day to make into cheddar cheese which is sold to Kraft Foods. It is a state-of-the-art facility that meets all state and federal regulations. The cheese factory operates 24 hours a day and has approximately 50 employees. 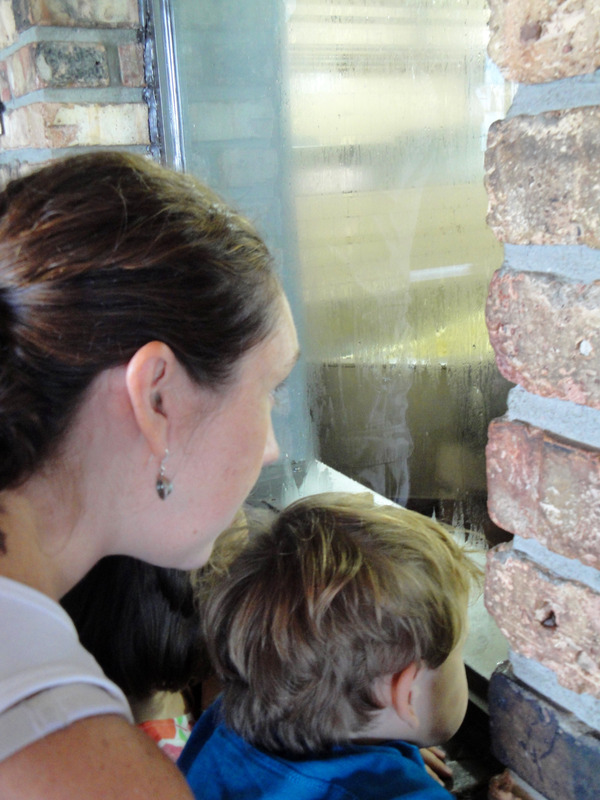 Although some things still need to be done manually, the cheese processing is totally automated. 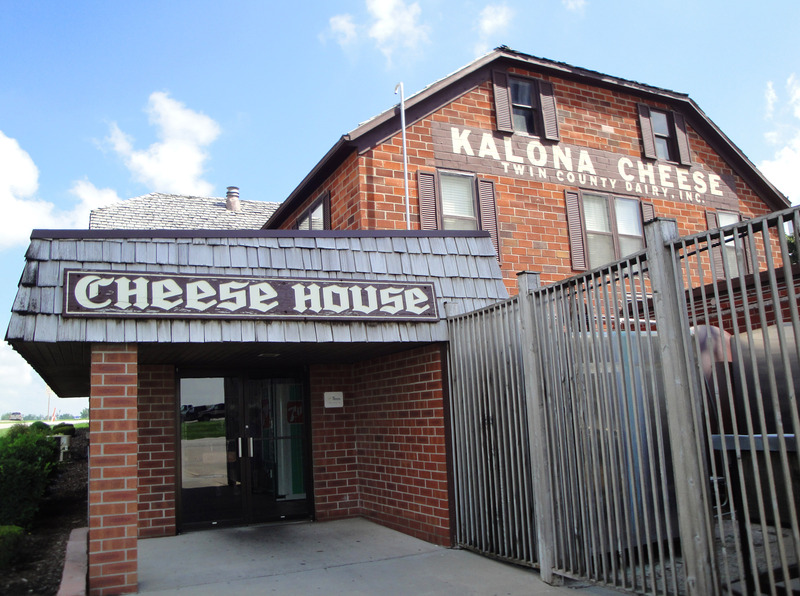 Located approximately four miles north of Kalona, the “Cheese Haus”, as it is generally known, is the “gateway” into the area’s Amish and Mennonite community. 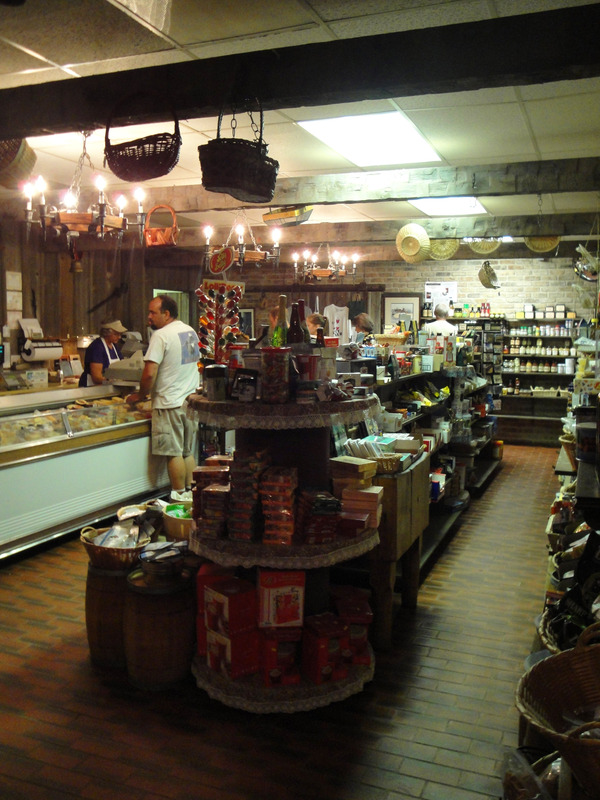 The east-west road that intersects Highway 1 at the Cheese Haus borders numerous Amish farms. Inside the Cheese Haus there are 3 large windows looking into the cheese curd factory…or what I like to call, “Cheese Curd Heaven.” There are giant vats of cheese curds stirring and sitting, waiting to be bagged. It was so fun to see Liv & Nash as they looked into the windows with pure amazement and curiosity like I did when I was young! Inside, there is also a great little market. 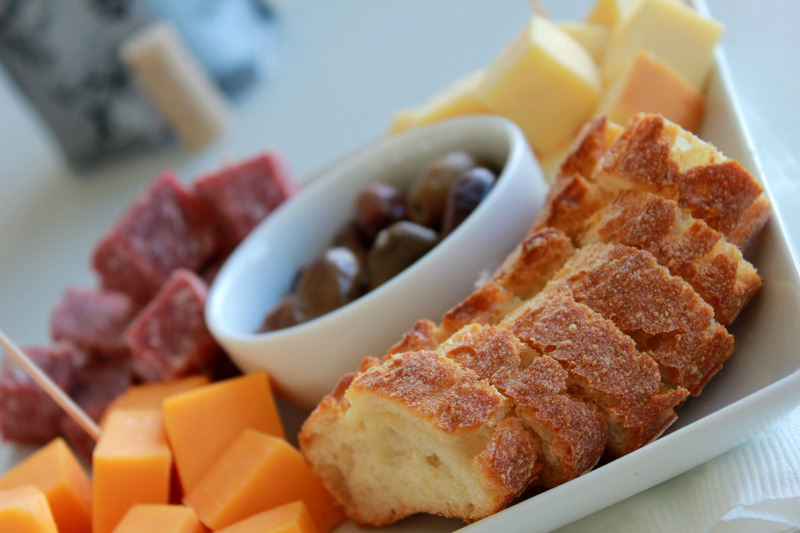 Lots of cheese and goodies to choose from…where do you start?! Delaney and I went straight for the “unique” items such as locally made Maple Syrups, Cocoa from Holland and interesting bottles of extracts. The kids…well they were much more excited about the giant suckers! 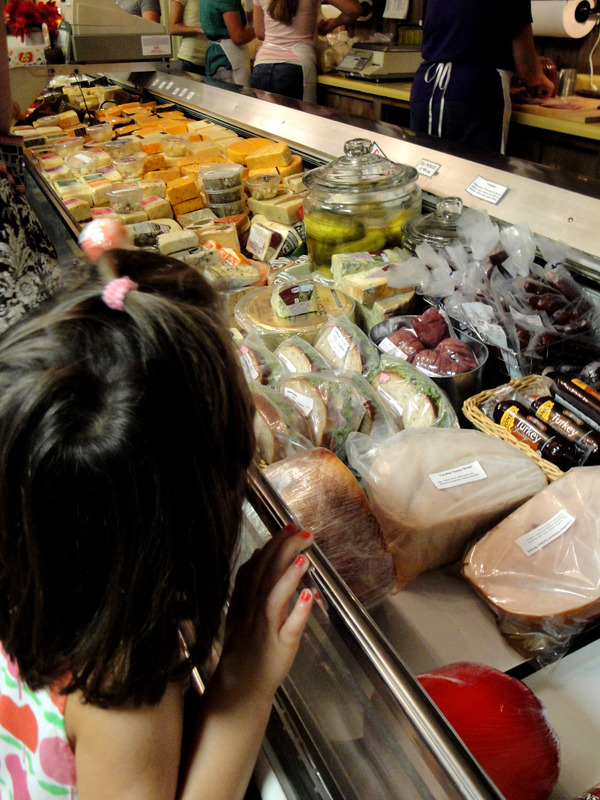 And before leaving, we all headed to the cheese, meat, and pickle cooler. 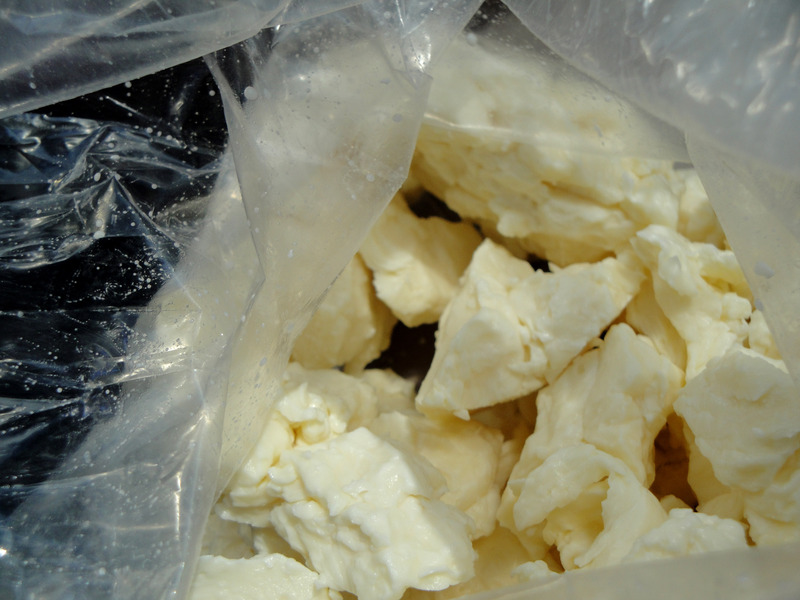 Whether you are a big kid…or a little kid…trying freshly made cheese curds is a must. 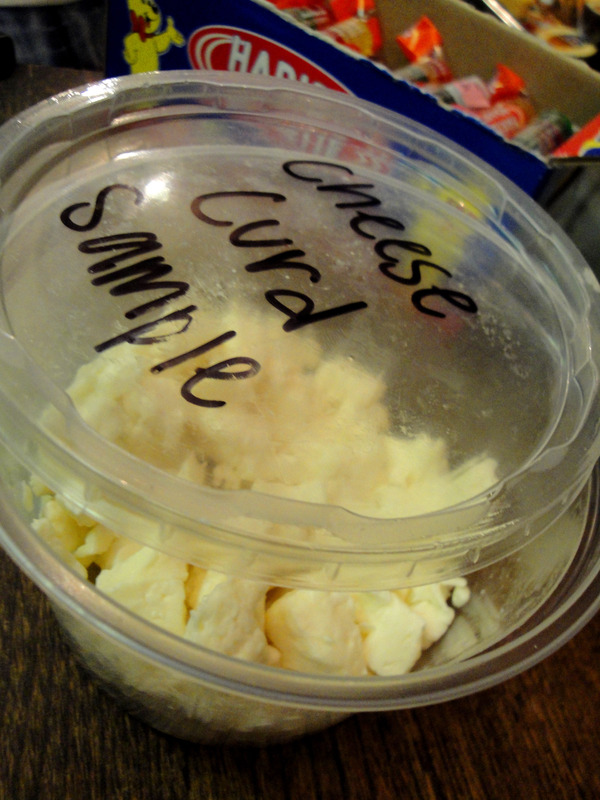 You’ll never took at grocery store curds the same again! While we are on the top of “rising and shining” and starting a new day, I wanted to share with you a great Saturday morning we shared with our friends Delaney & Joe and their 2 children, Liv and Nash. As a child, there were many mornings that my Dad would walk into our bedroom, snap open the shade and yell, “Rise & Shine!” My sister and I didn’t appreciate it much at the time but he found it hysterical. Looking back, it was quite funny and something we certainly will never forget. But with guests staying with us this past weekend, I didn’t think it would be appropriate to wake them in such a manner. Instead I thought, how about a sweet treat of a breakfast. This weekend was their first trip to Iowa and we were so excited to have them here. We wanted to treat them as much as possible. 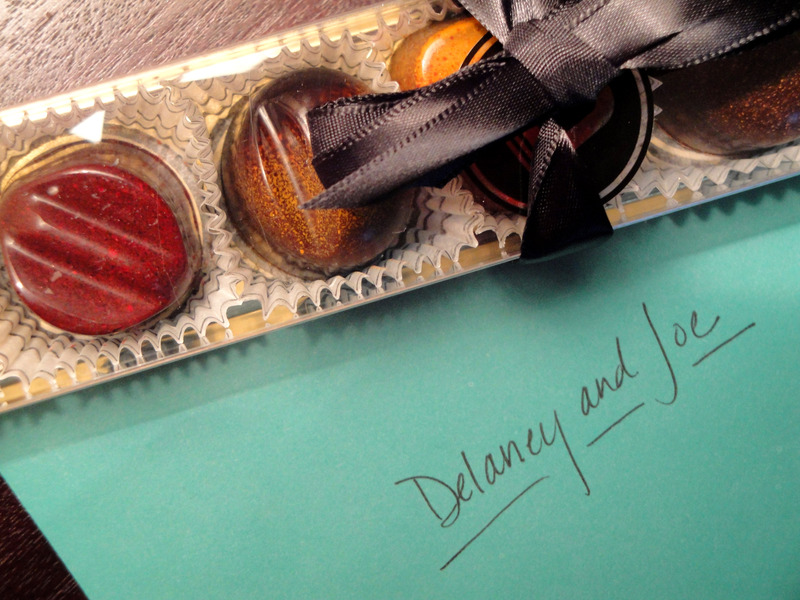 So, we started with some Bochner chocolates & a note for Delaney & Joe and some small gifts for Liv & Nash. 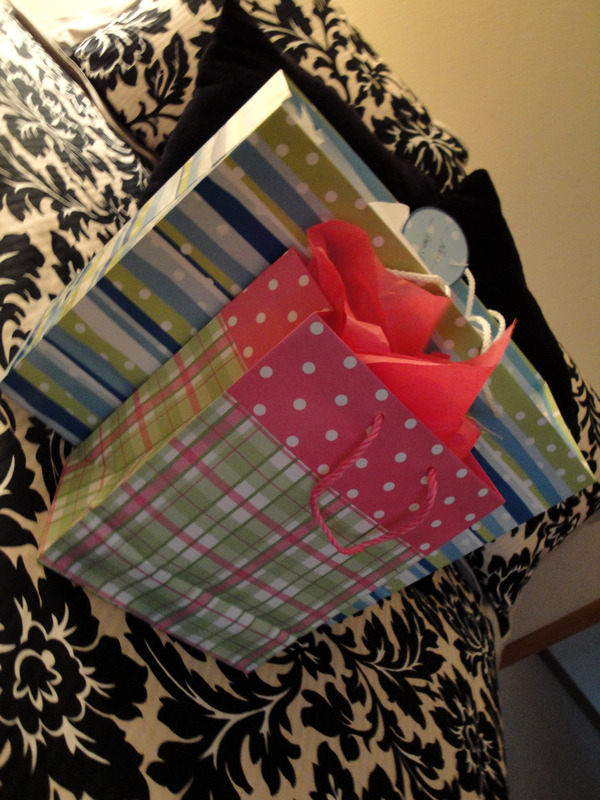 After all, the kids had just survived a 5 hour car-ride and what child doesn’t love a surprise present! A girly pink Iowa t-shirt for Liv & some Iowa balls for Nash. 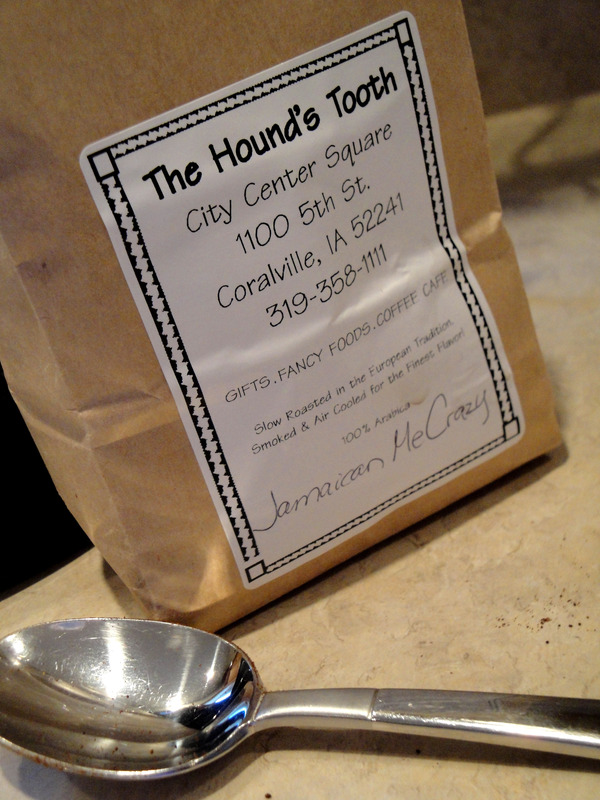 Next up, some special coffee from the Hound’s Tooth, an adorable gift shop in Coralville. Jamaican Me Crazy, recommended by my friend Jeremy, was great! The aroma was awesome! Even I (not much of a coffee drinker) had to have a cup or 2. And finally, a new recipe, Strawberry & Peaches Oven Baked French Toast. Caution: it’s a sweet one! 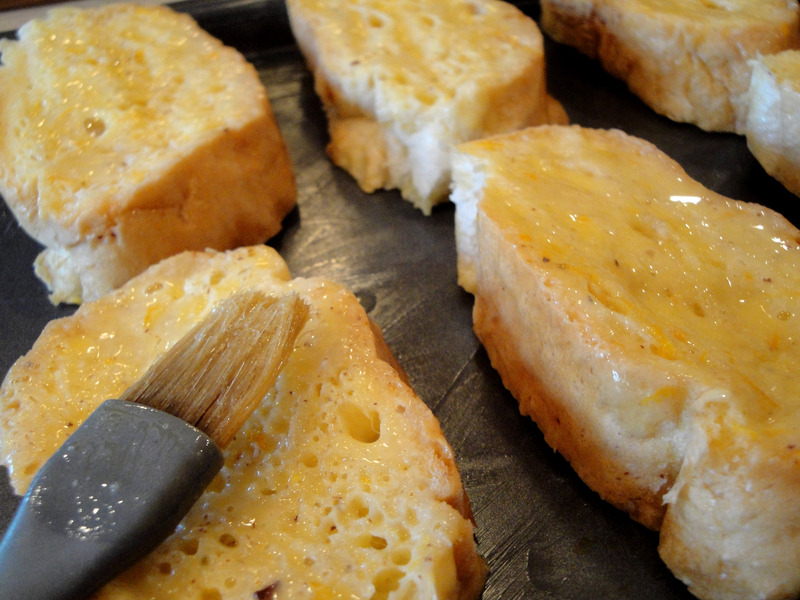 The night before you want to serve this tasty breakfast, prep the french toast. In a large bowl, combine eggs, milk, sugar, vanilla, orange peel and cinnamon. Arrange bread slices on a 10 x 15 jelly roll pan (x2). Pour egg mixture over bread and let stand until partially absorbed. 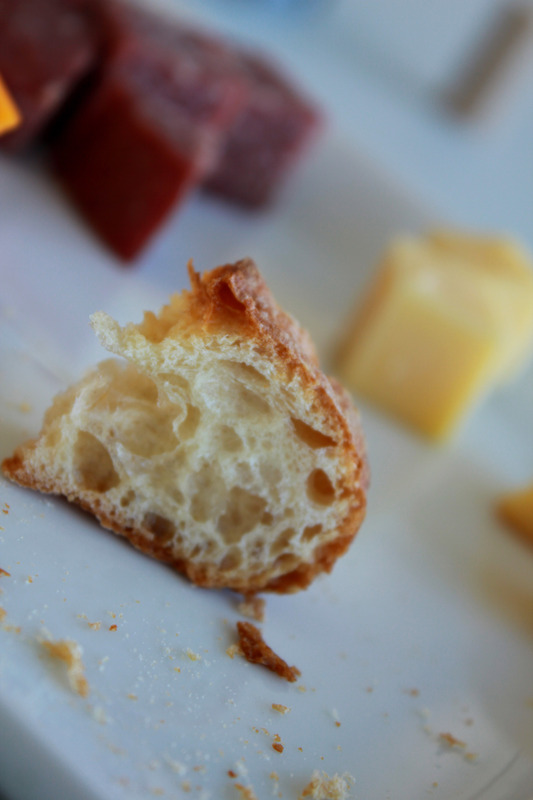 Turn slices over and allow bread to completely absorb the remaining mixture. Place in freezer, uncovered, until firm (~1hr). Using a wide spatula, loosen slices from pan. Place slices in freezer storage bag; seal and freeze until needed. In the morning, pull out the slices and you are ready to bake! Heat oven to 450 degrees. Grease a 10 x 15 jelly roll pan (x2). Arrange slices on pans. Brush the top side of each slice with melted margarine. Bake 8 minutes. Turn slices; brush again with margarine. Continue baking until lightly browned (~8 minutes). While the french toast is baking, prepare the Fluffy Whipped Cream. Combine powdered sugar and sour cream. Fold in whipped topping. Refrigerate until ready to serve. 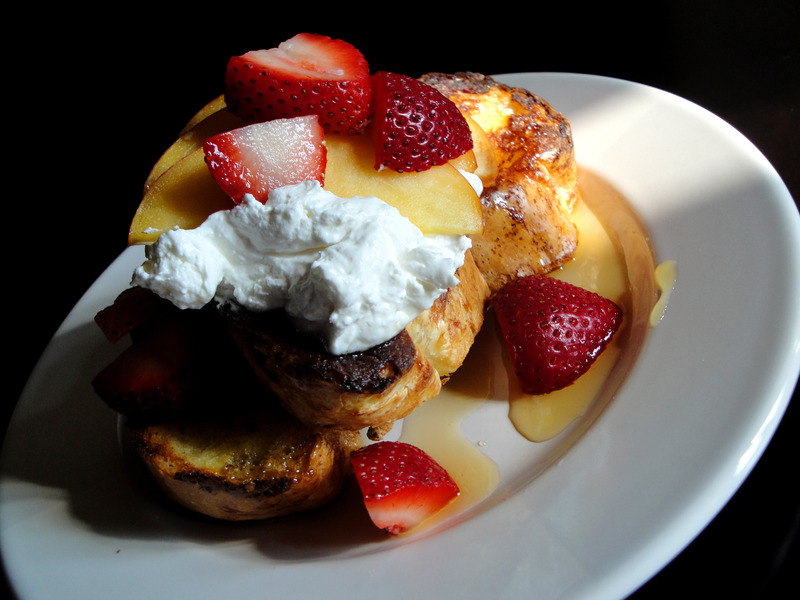 Remove french toast from the oven and top with maple Syrup, fluffy whipped topping, and fruit! A special breakfast for special friends! We are so grateful for their visit. 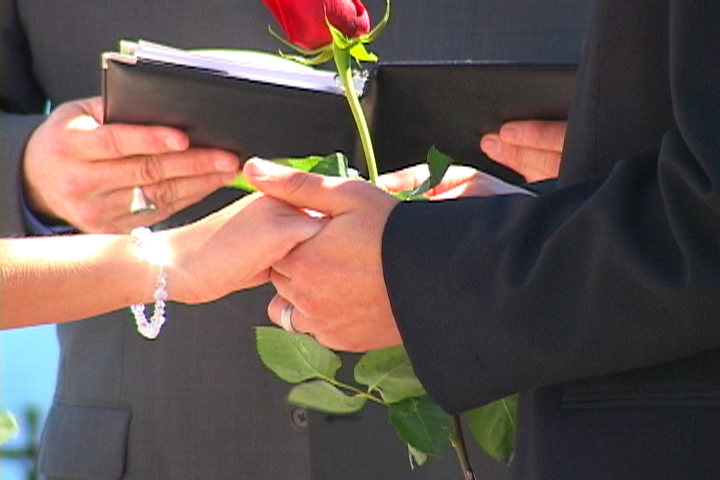 I will share more from our weekend together as the week goes on. Enjoy your Monday!